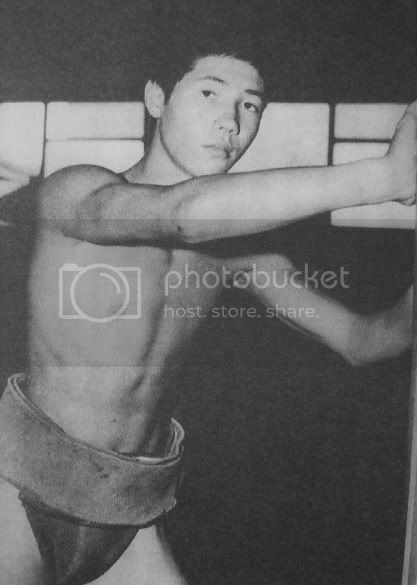 i heard your cries and decided to post some 80's stuff. 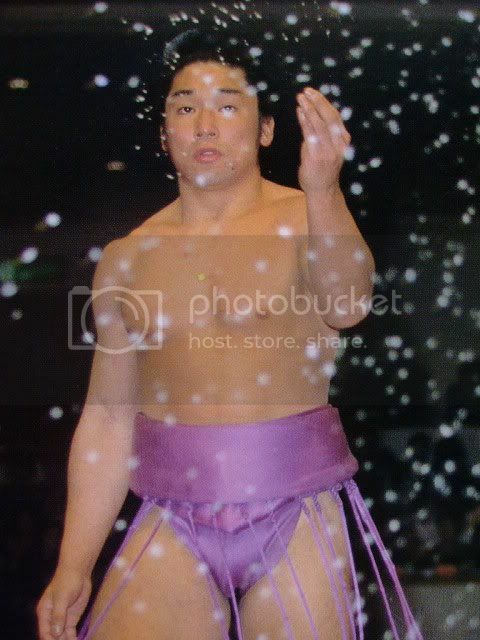 Itai .... yes yes the "yaocho guy"
Kashiwadooo!!! 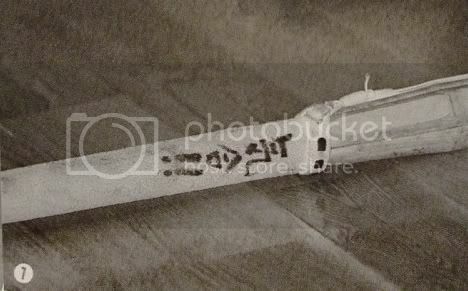 ;-) Thanks a lot! 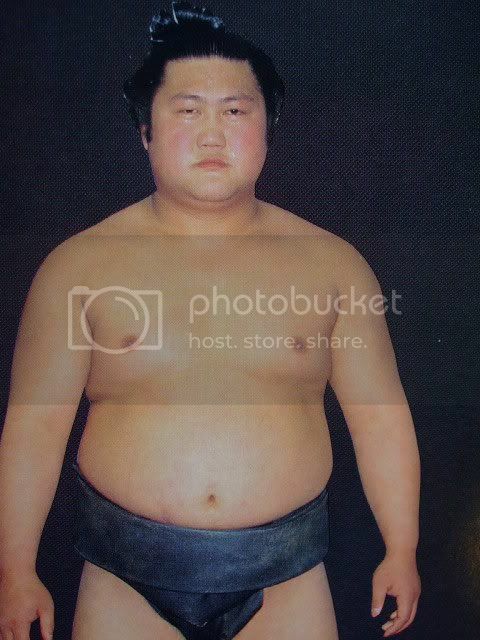 I only had 3 pictures of him. 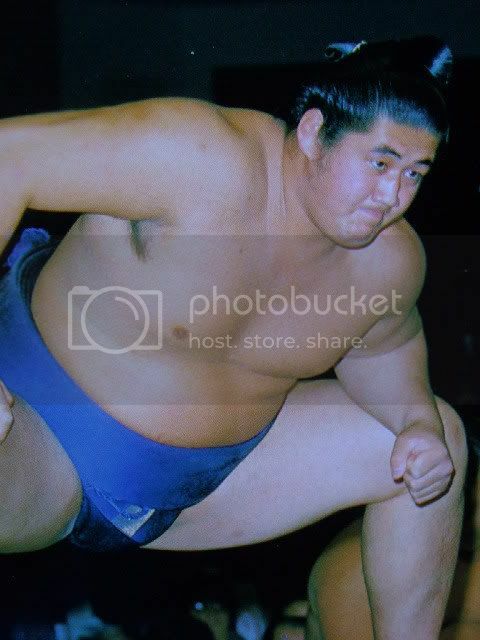 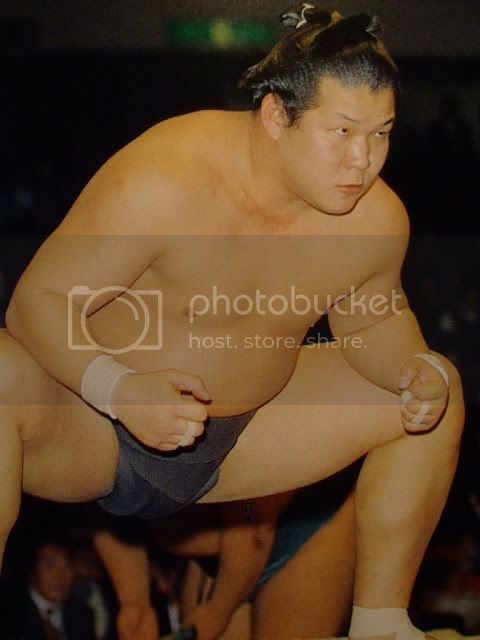 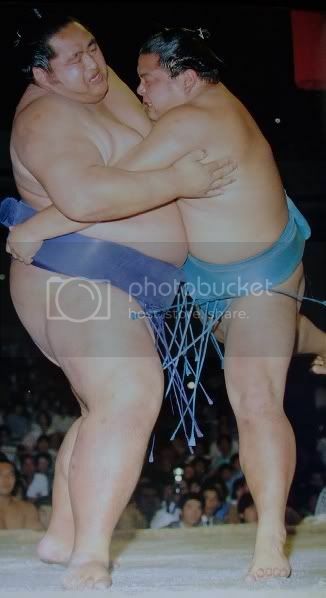 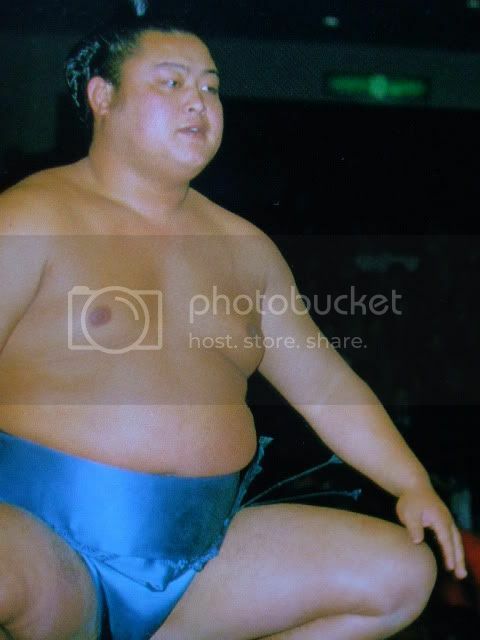 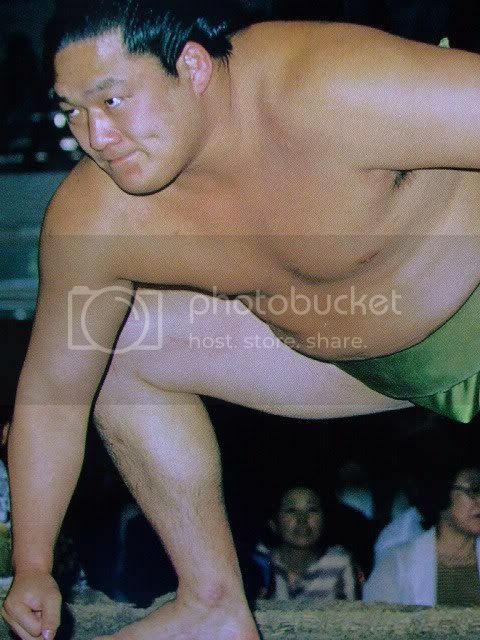 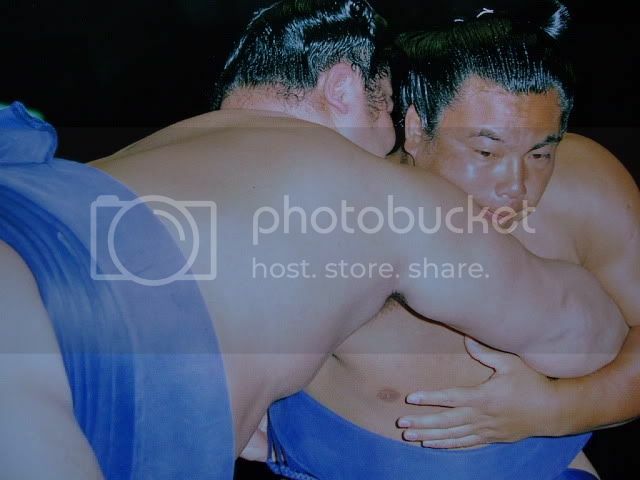 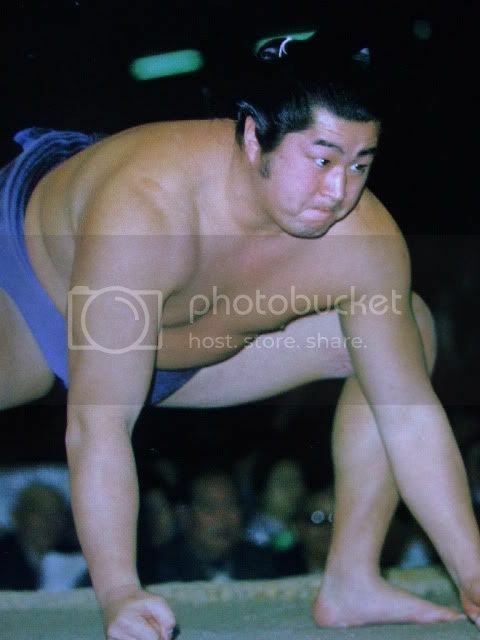 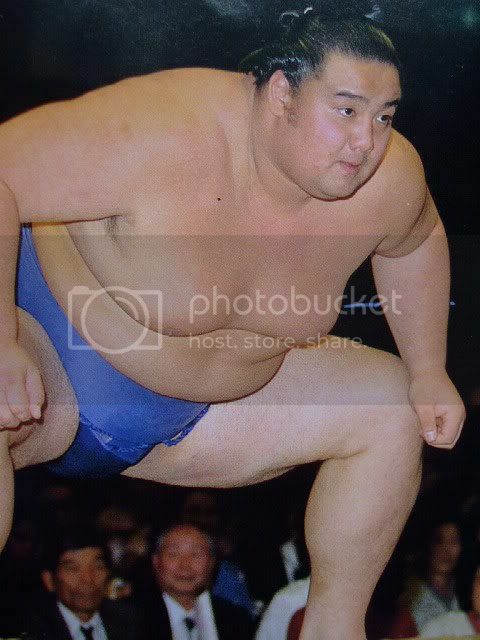 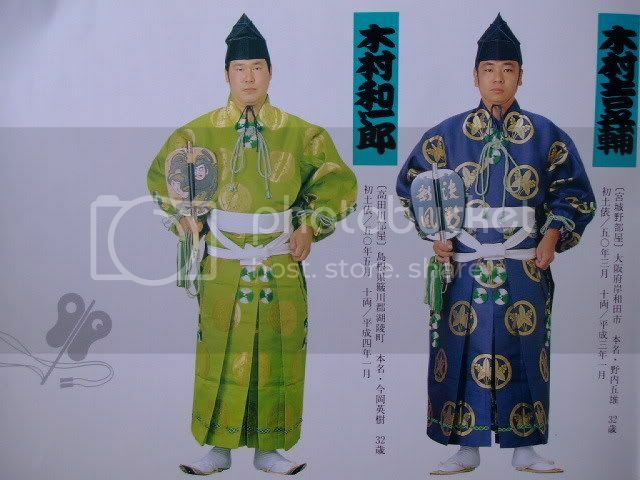 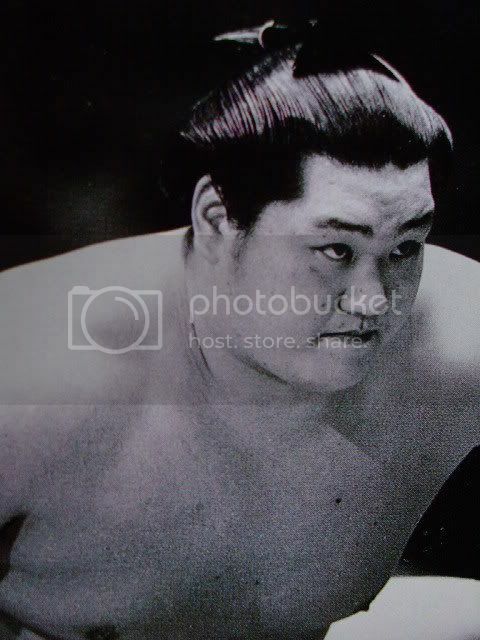 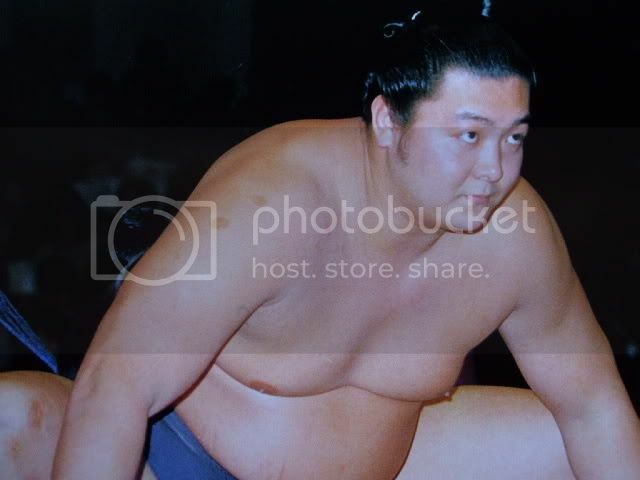 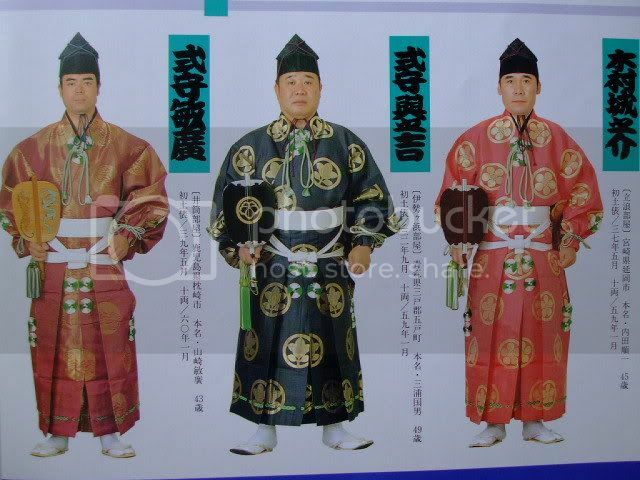 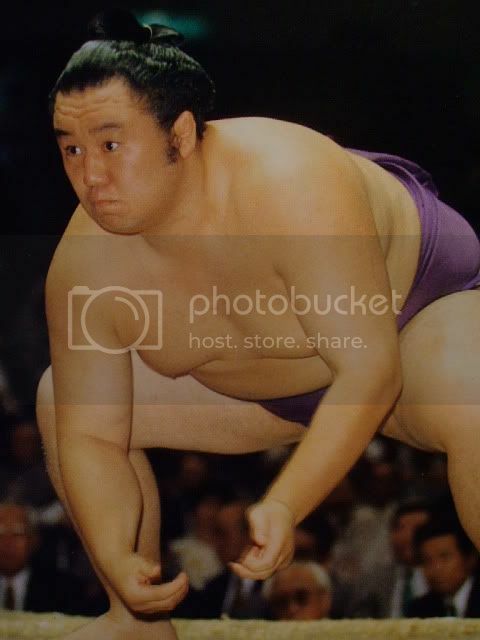 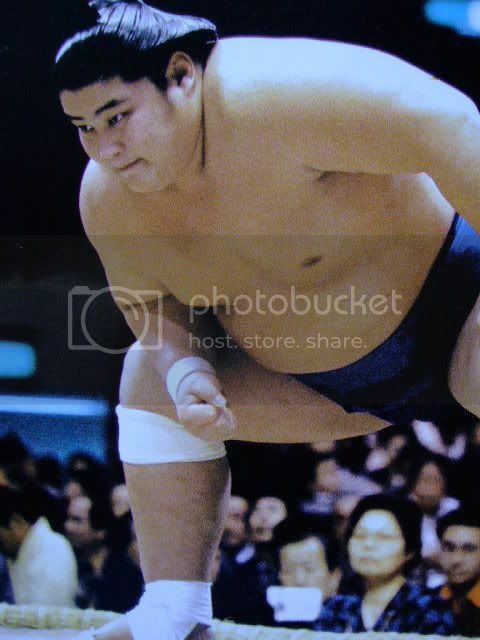 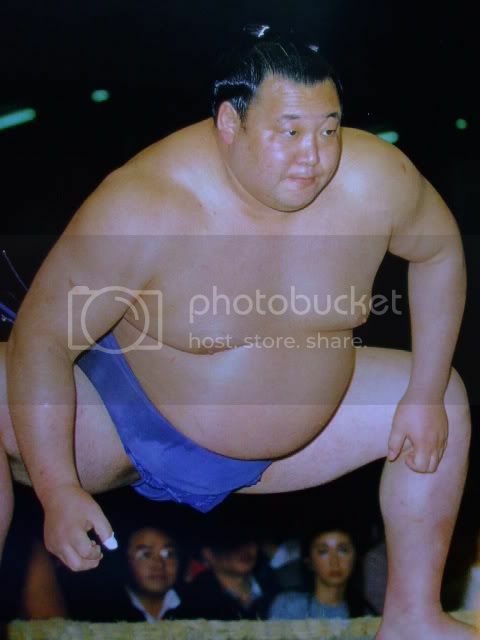 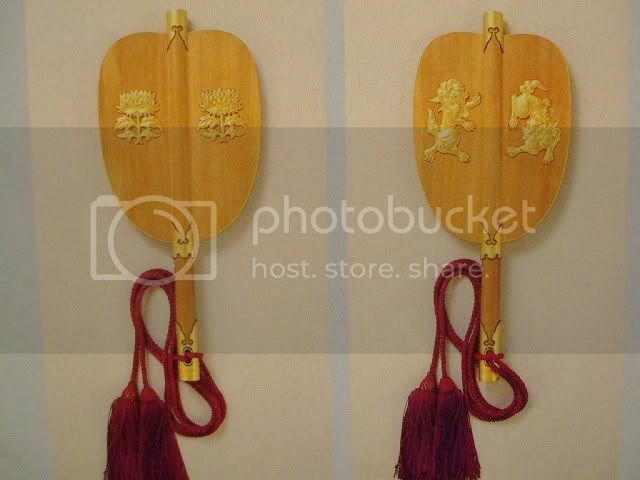 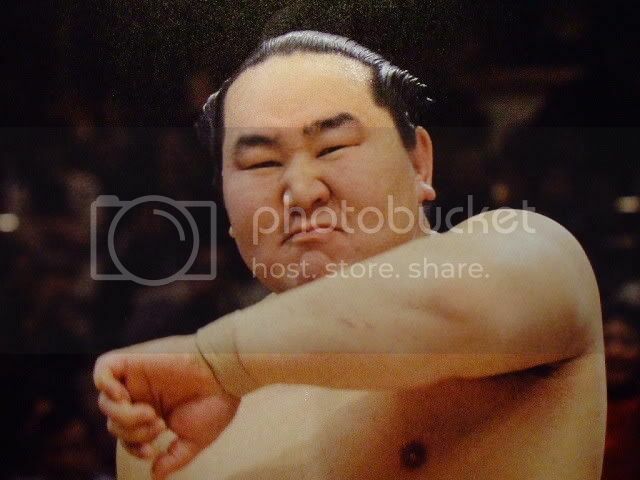 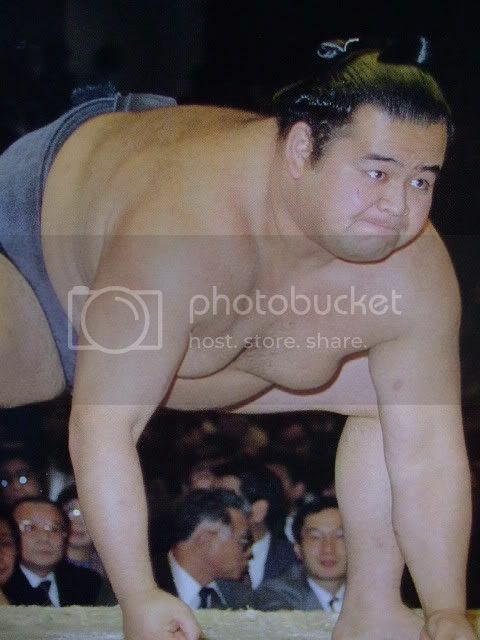 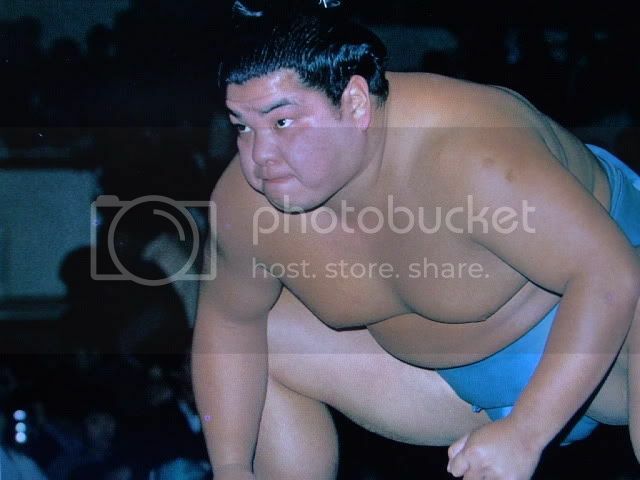 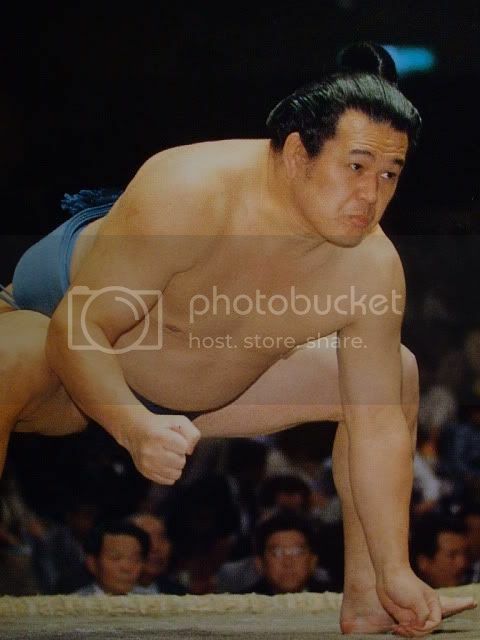 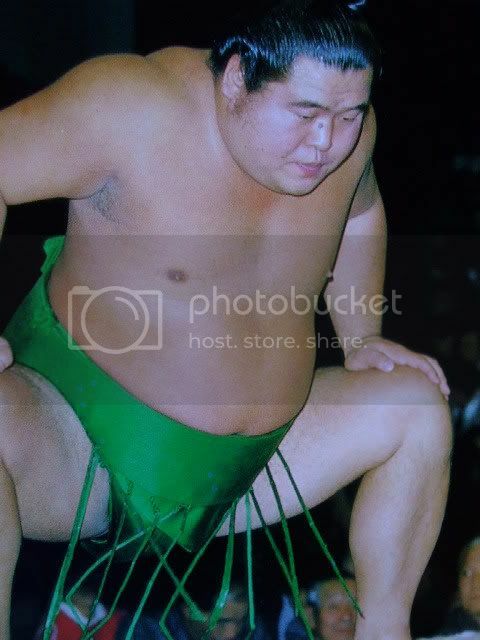 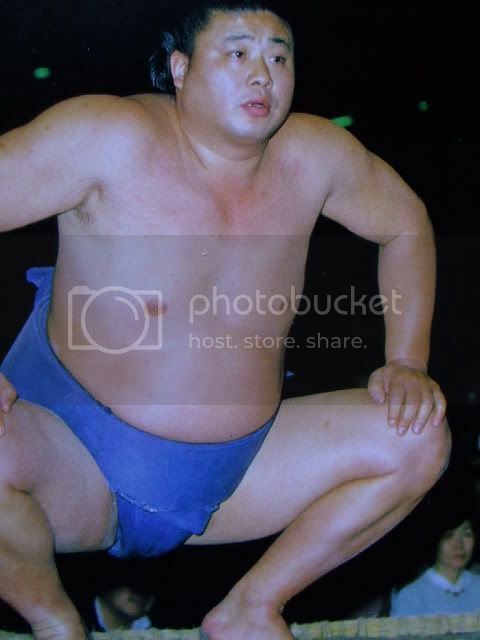 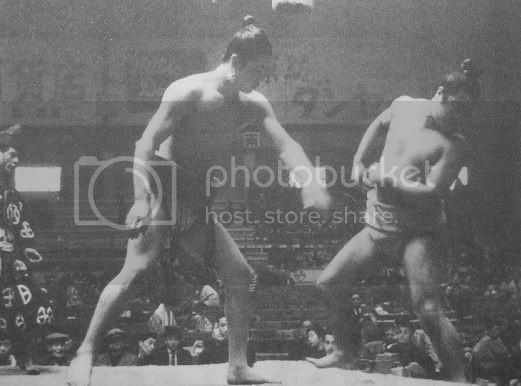 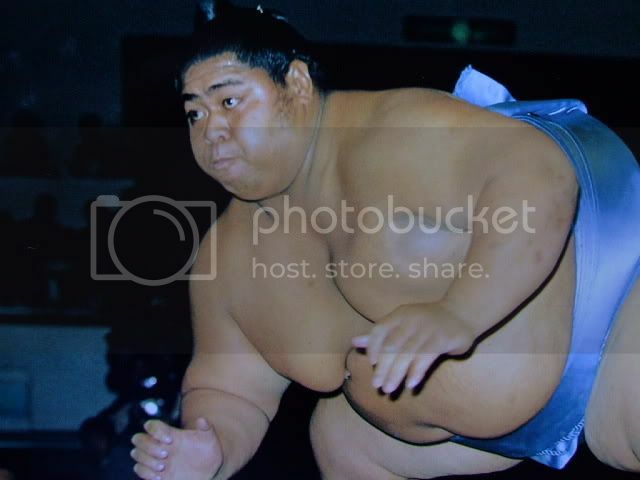 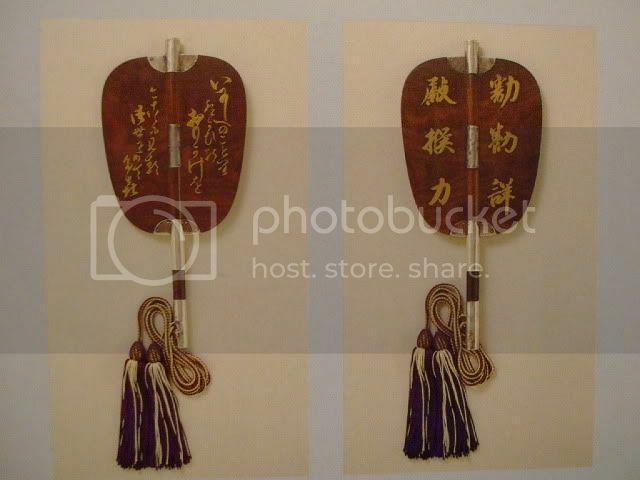 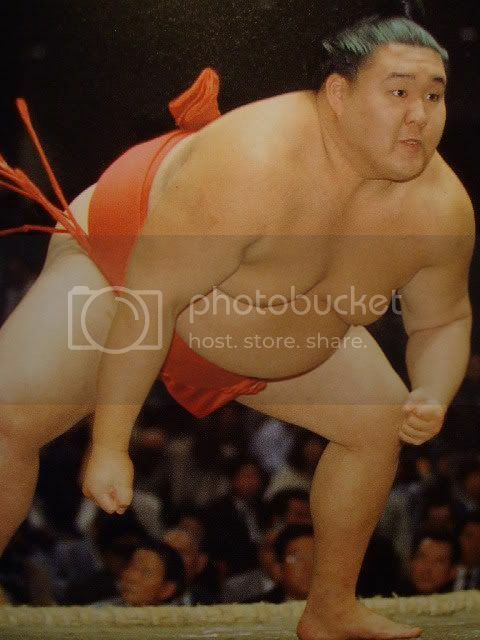 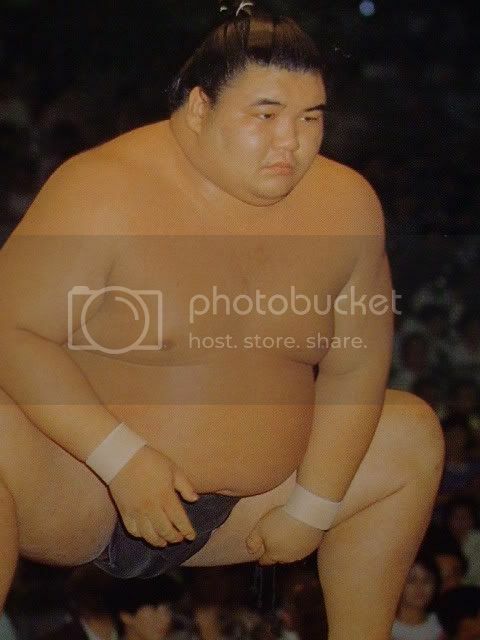 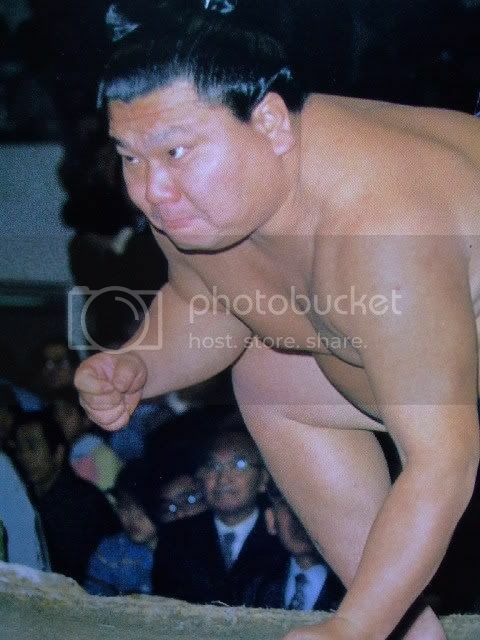 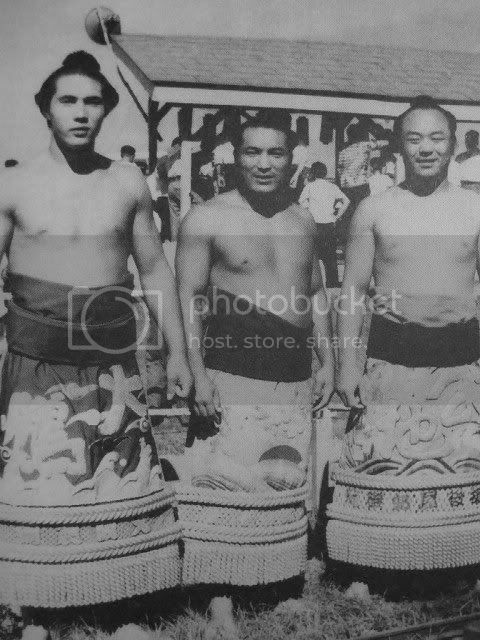 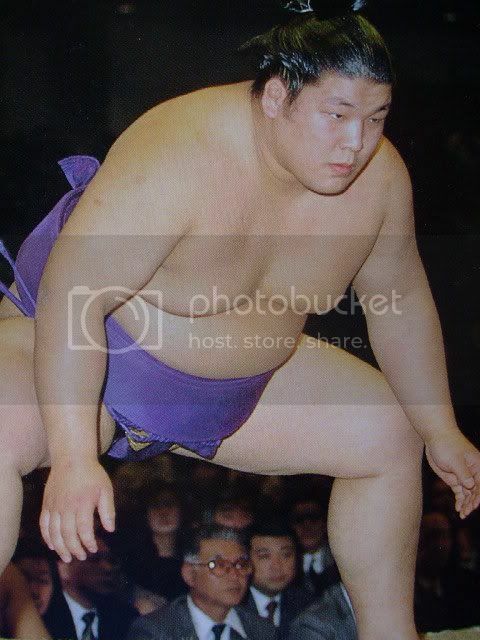 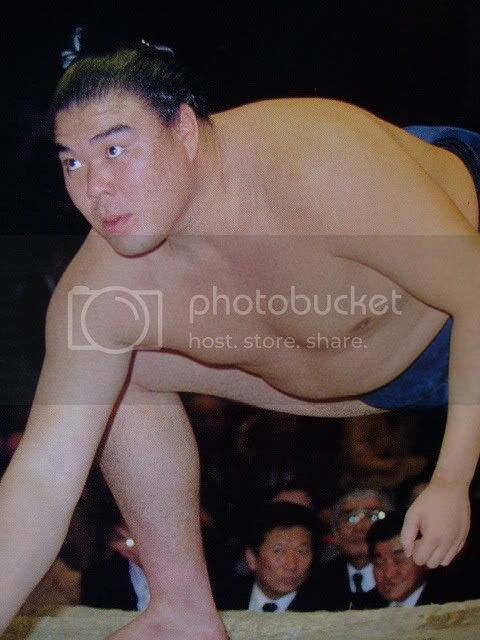 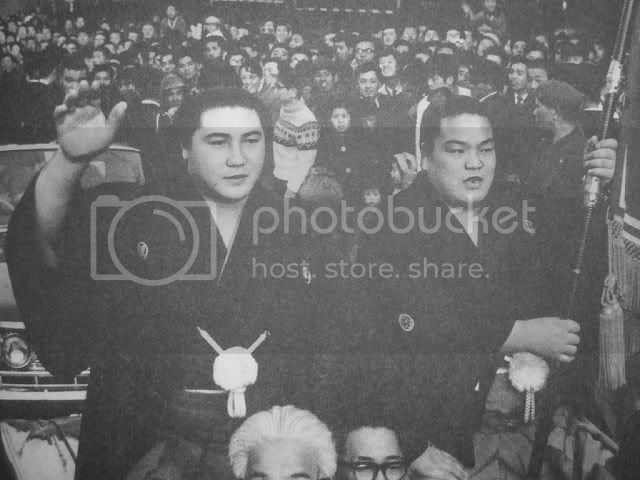 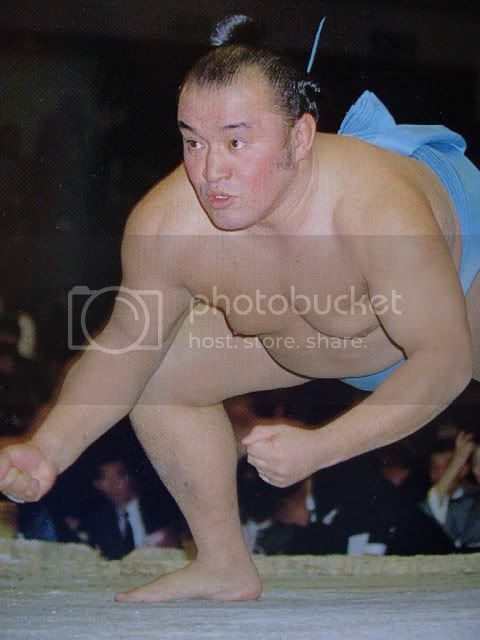 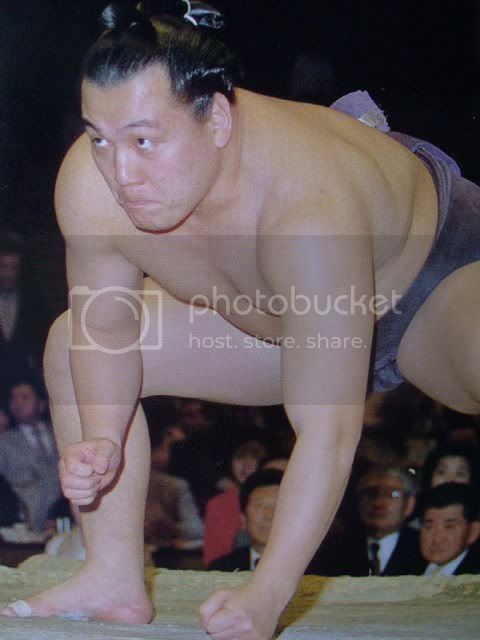 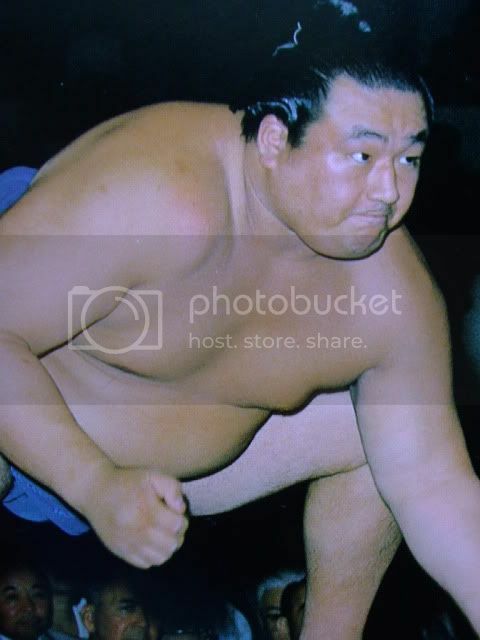 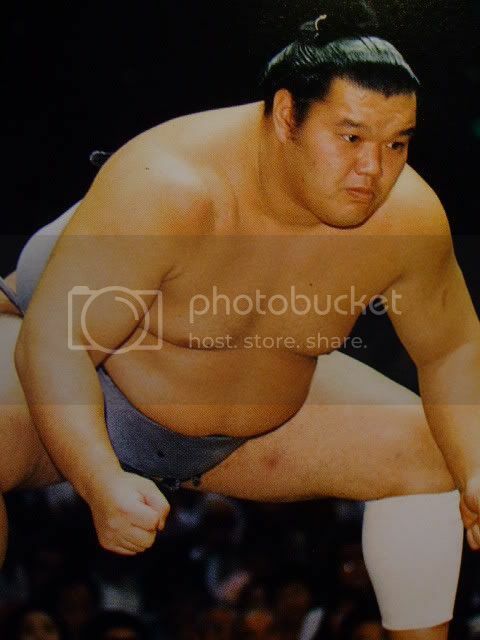 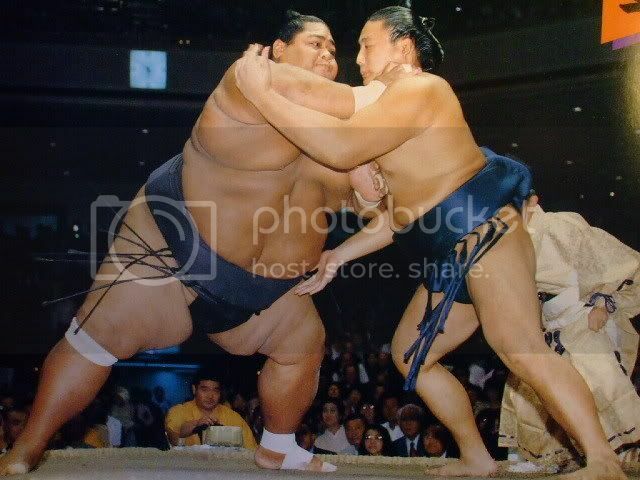 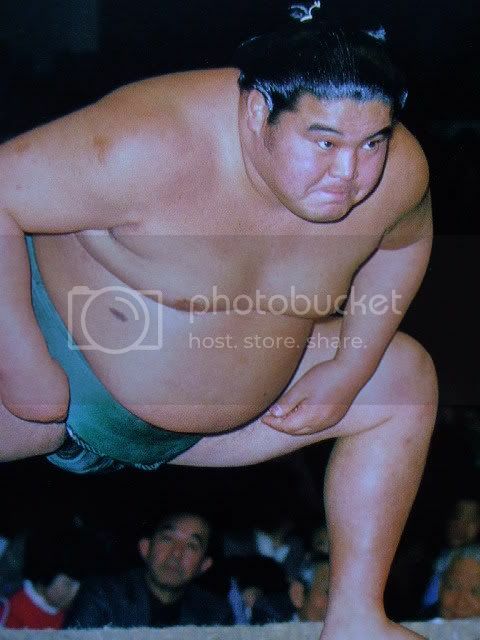 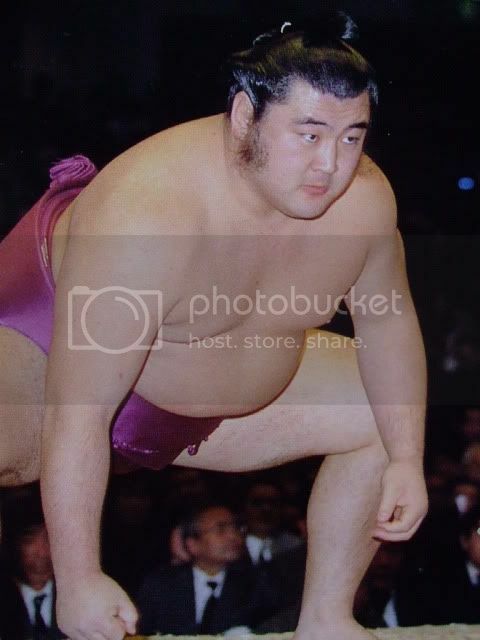 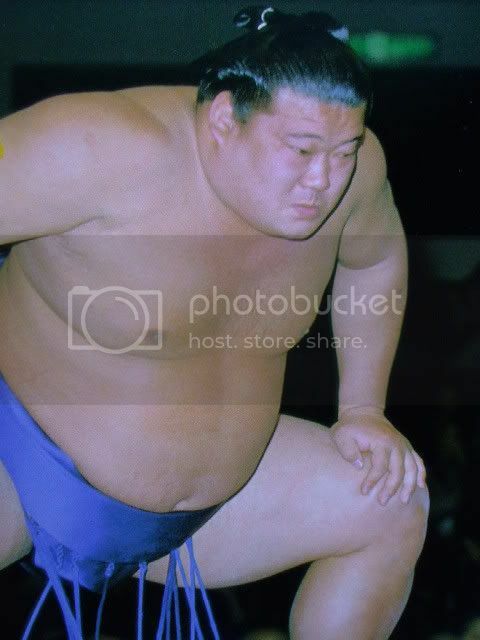 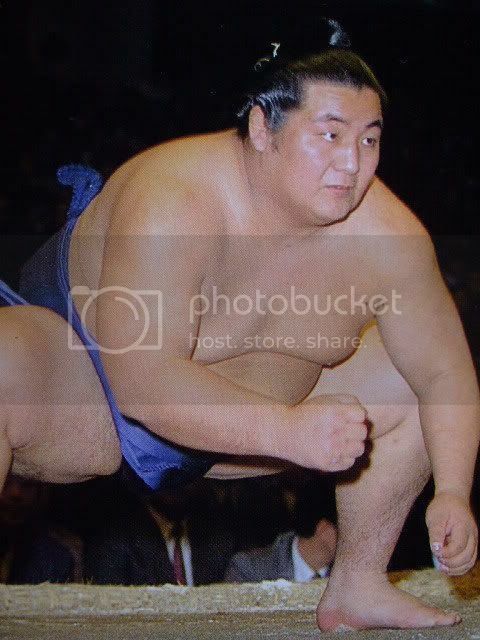 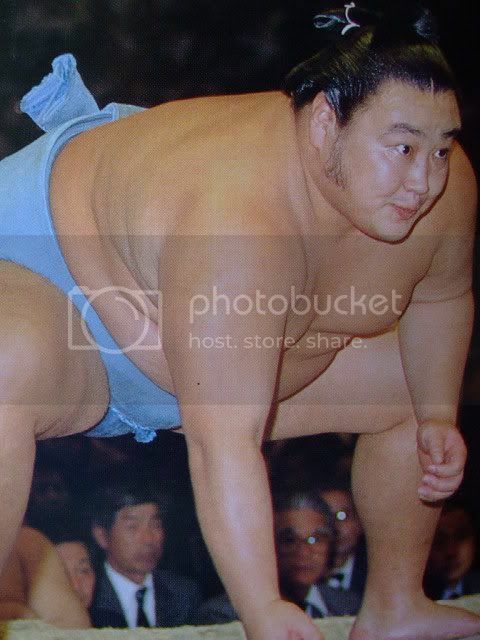 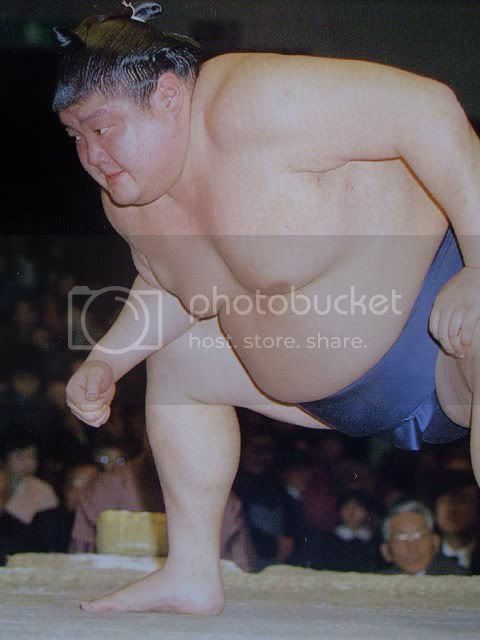 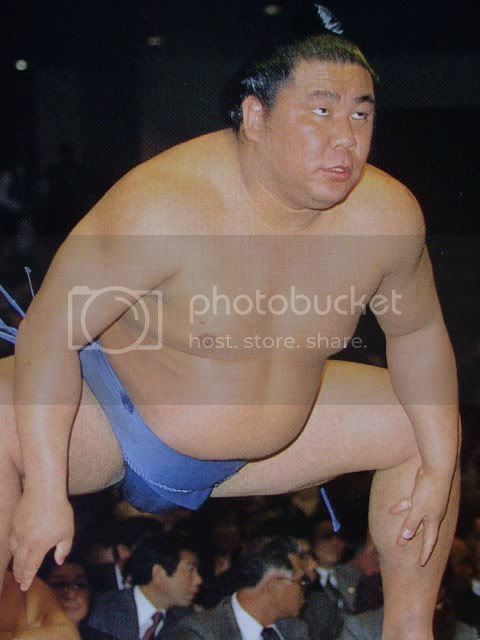 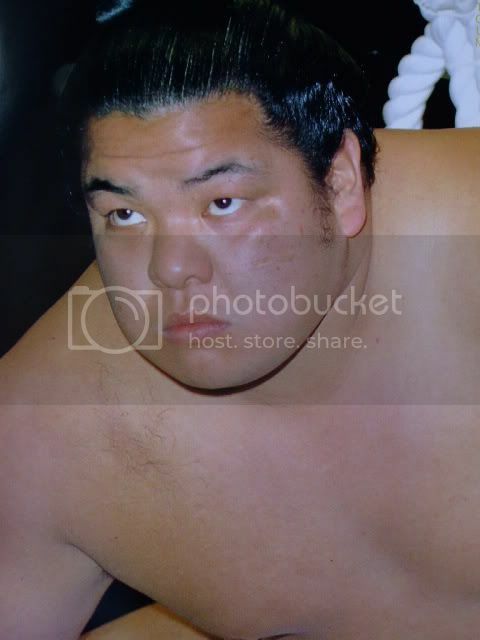 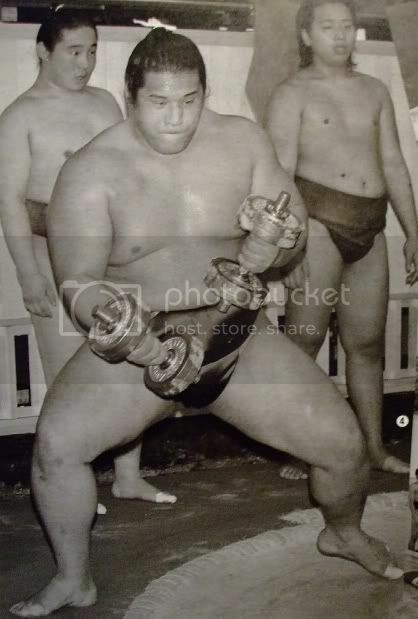 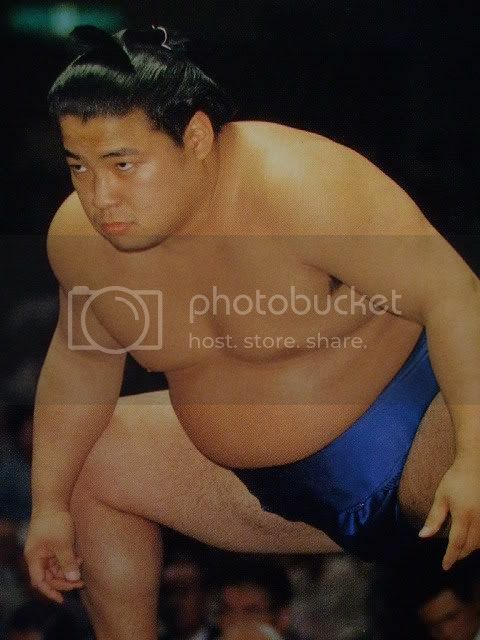 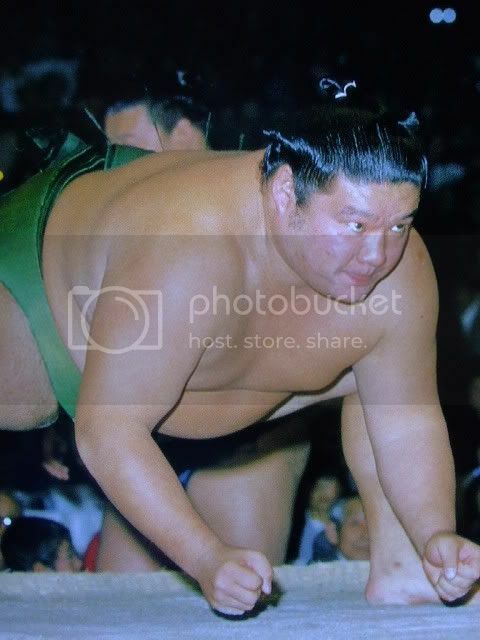 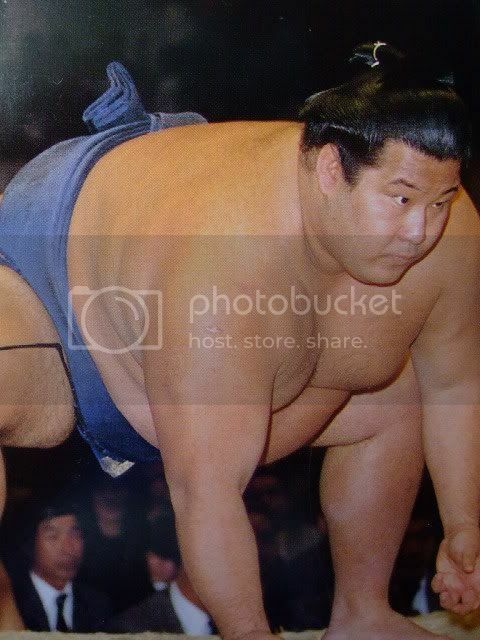 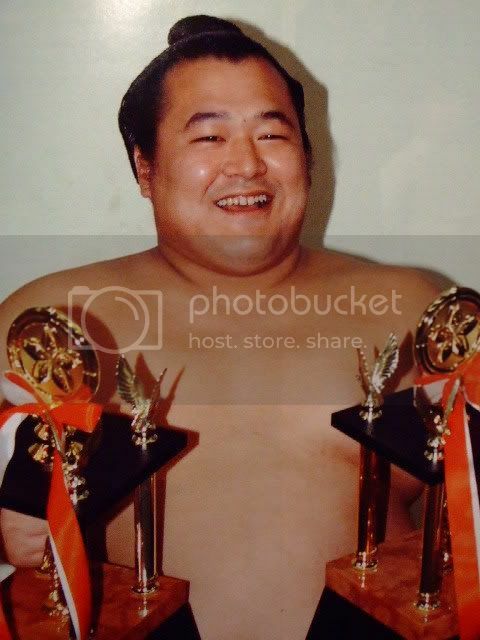 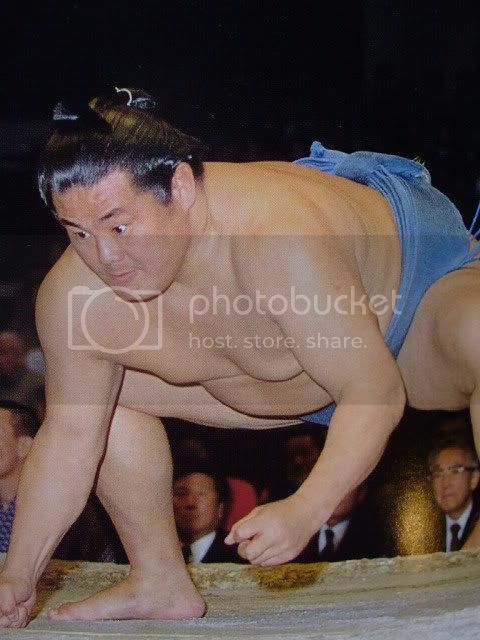 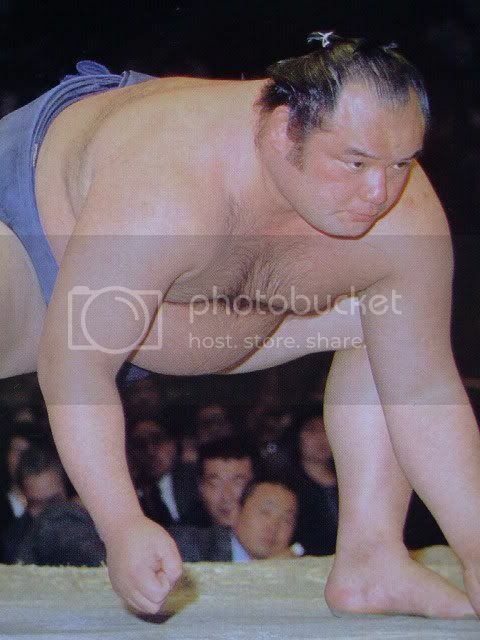 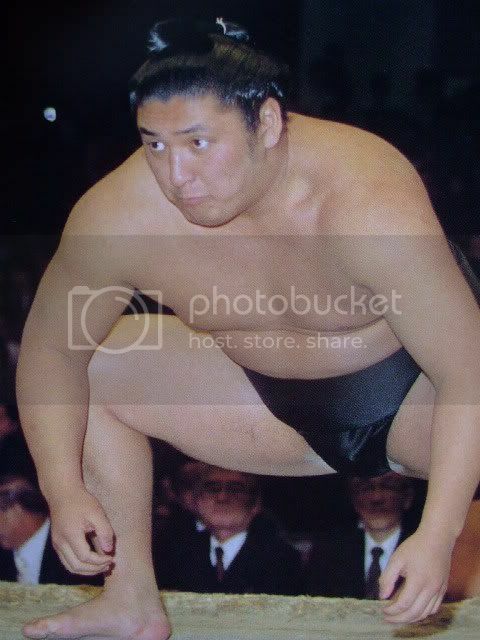 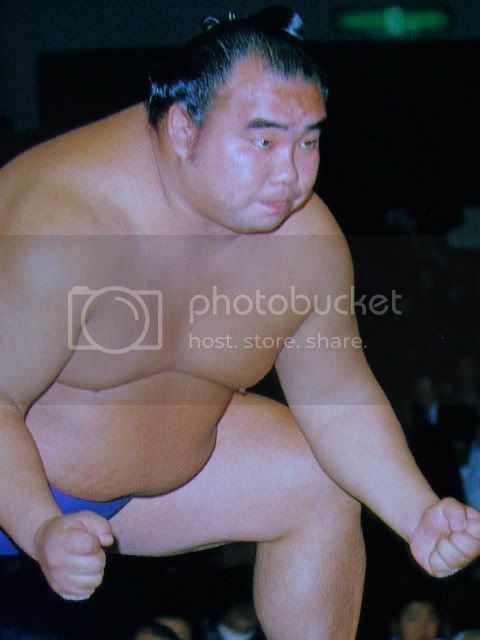 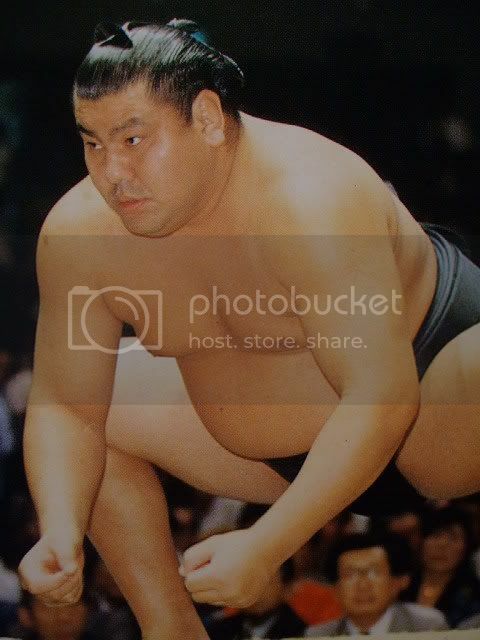 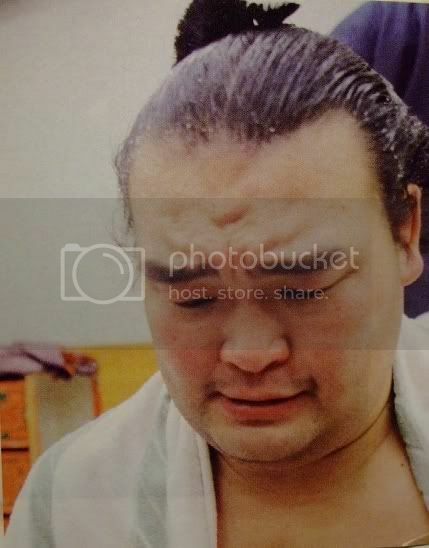 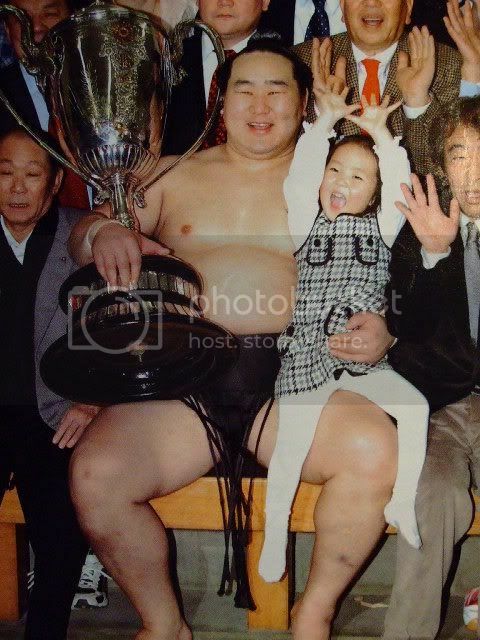 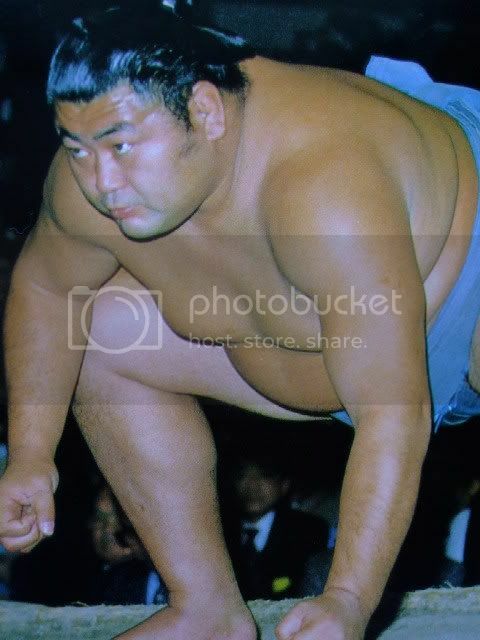 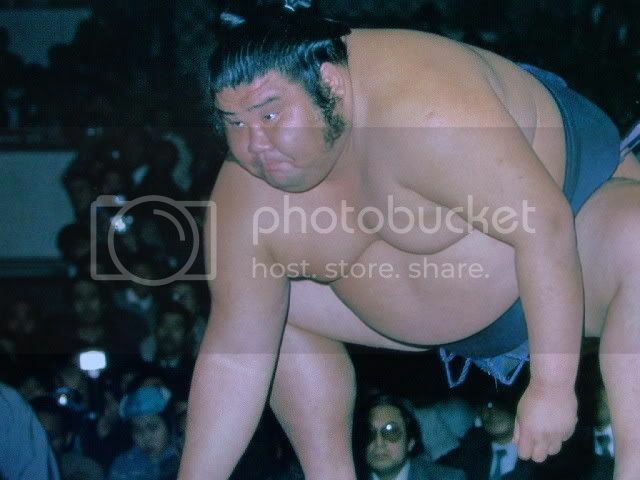 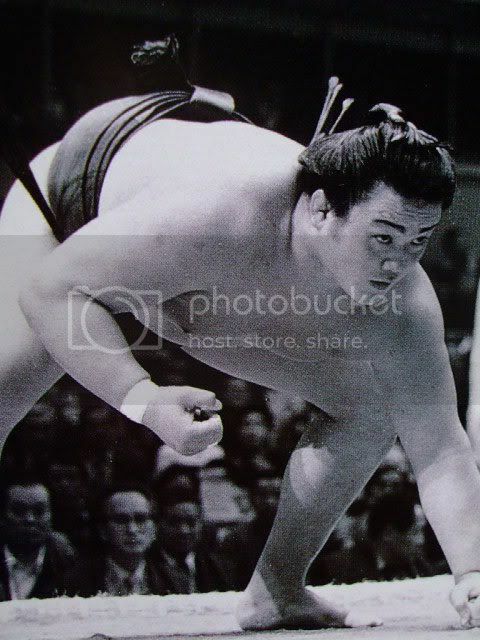 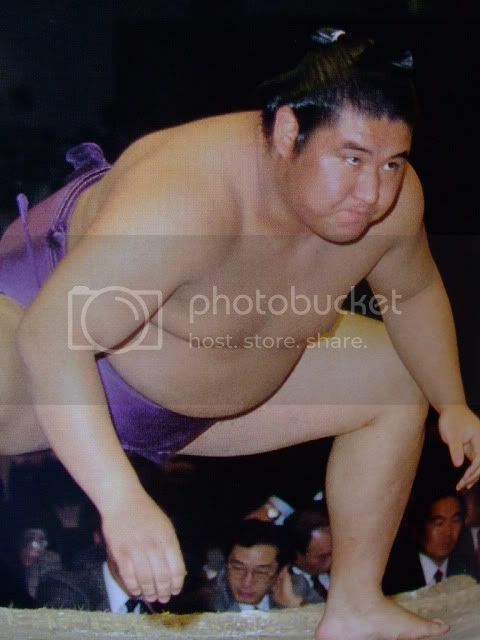 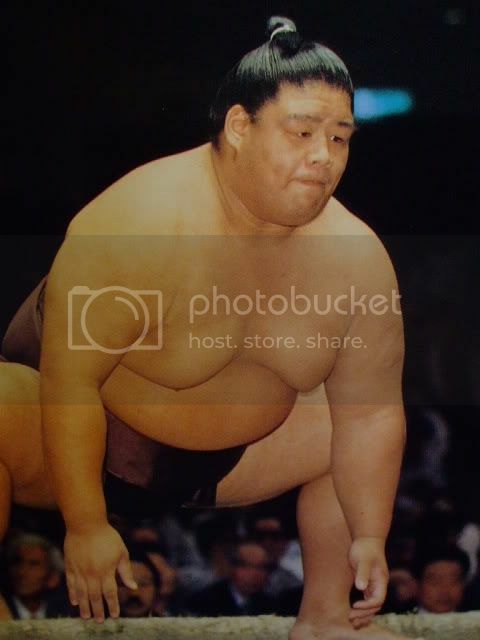 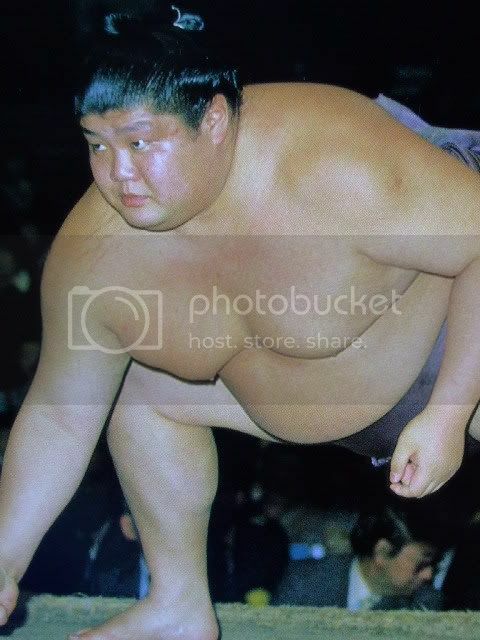 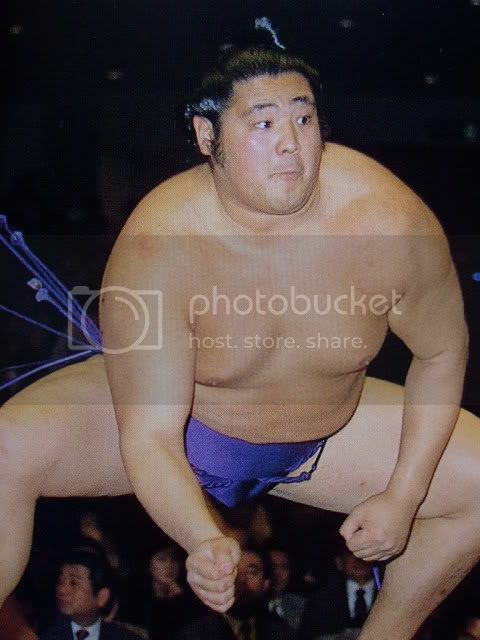 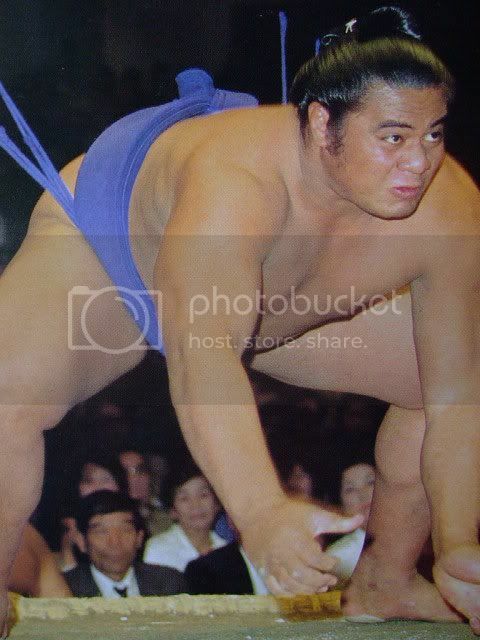 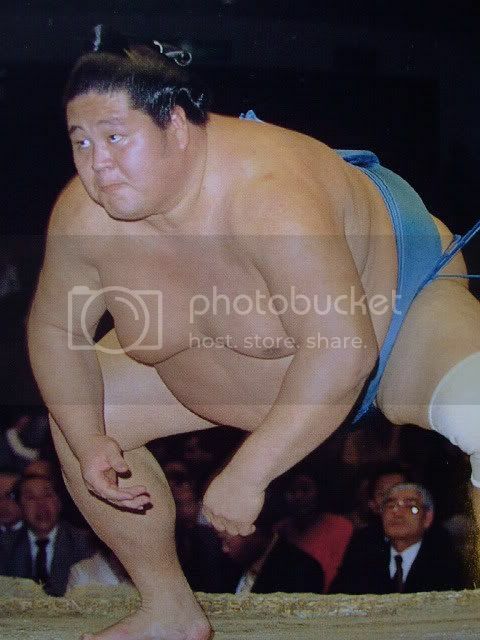 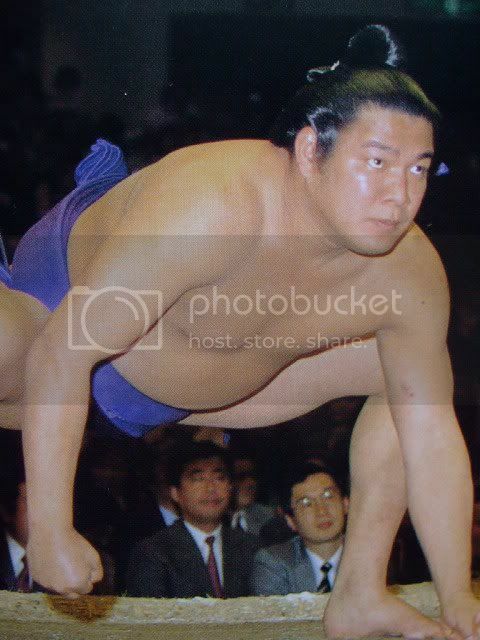 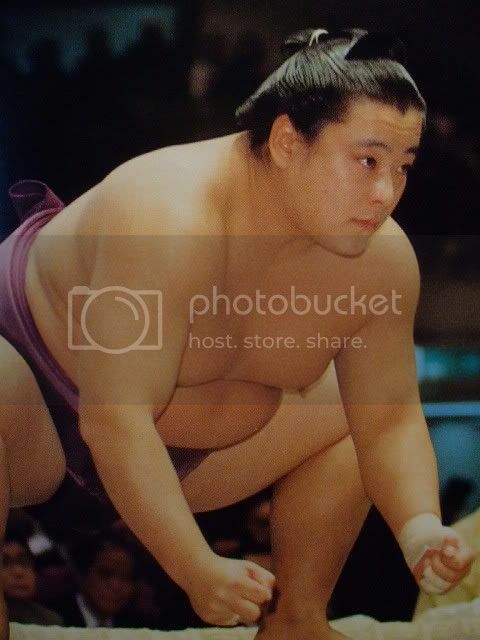 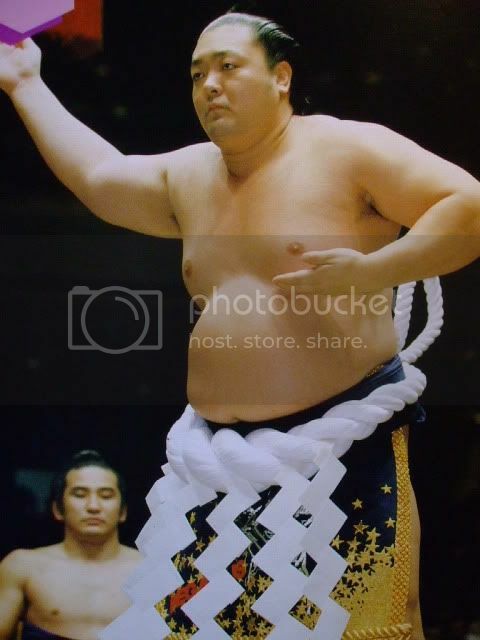 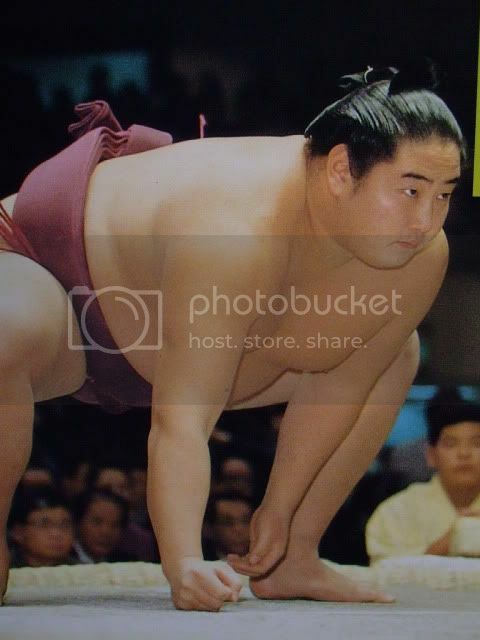 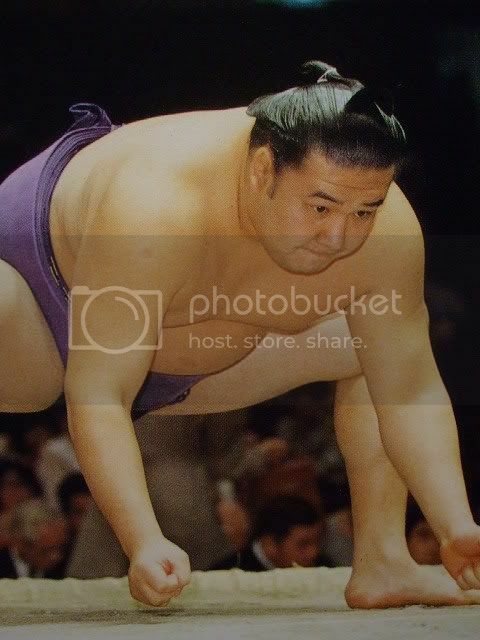 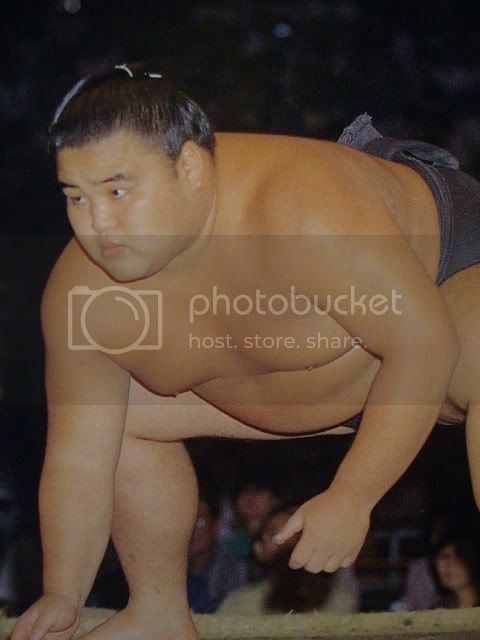 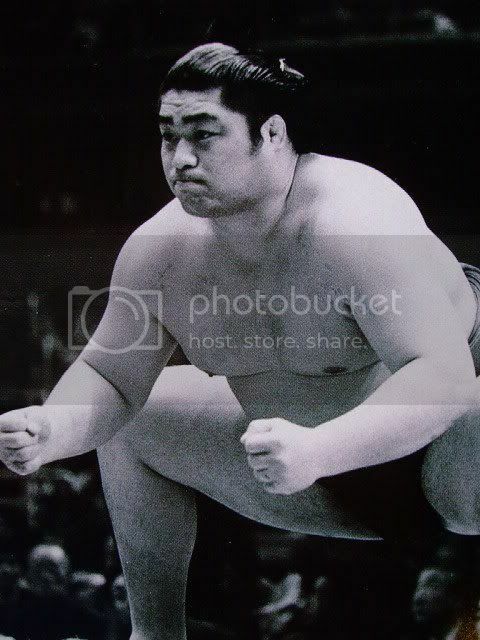 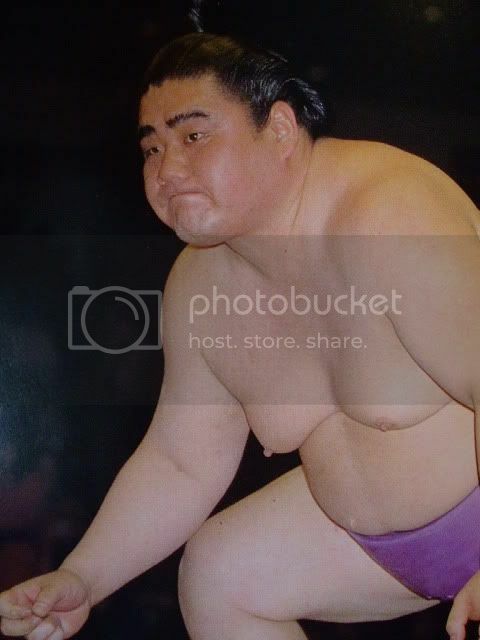 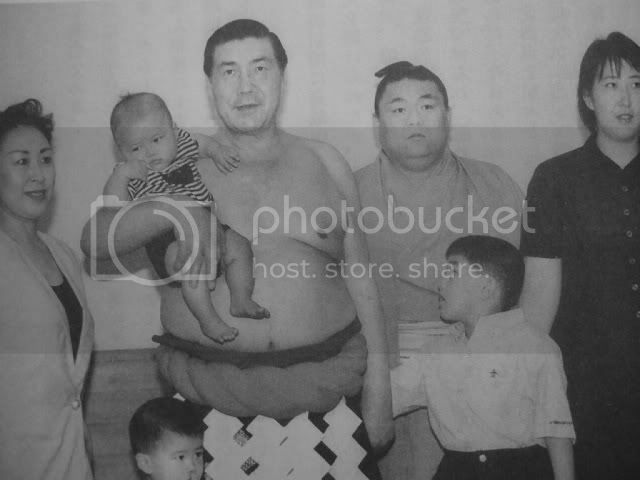 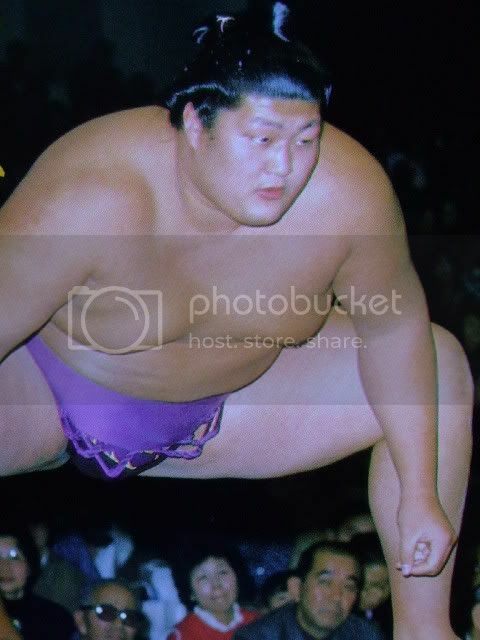 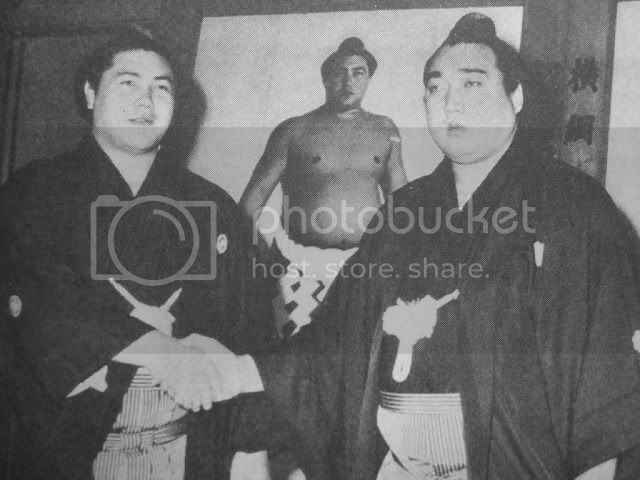 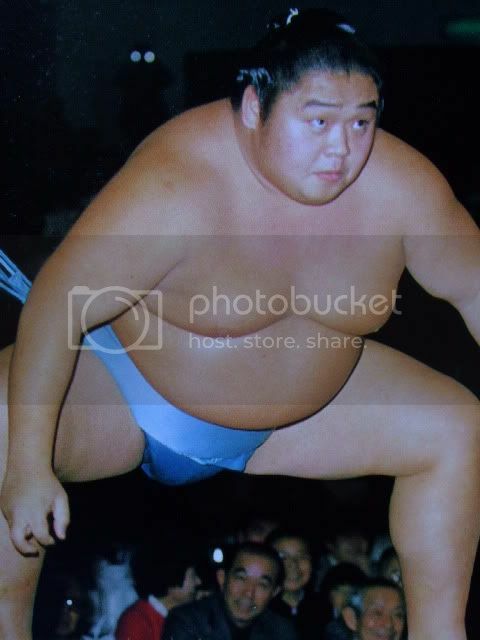 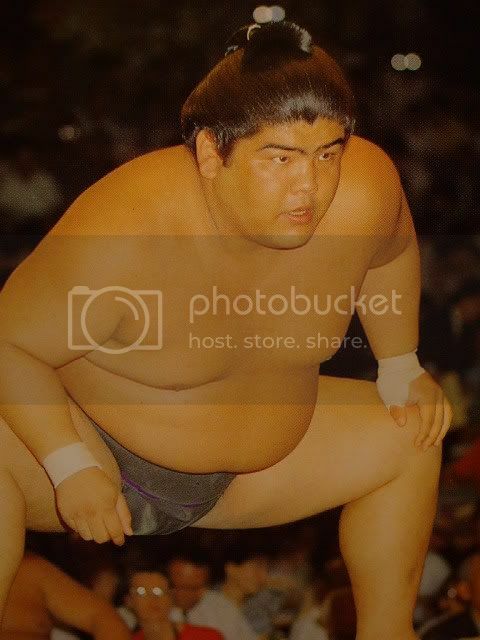 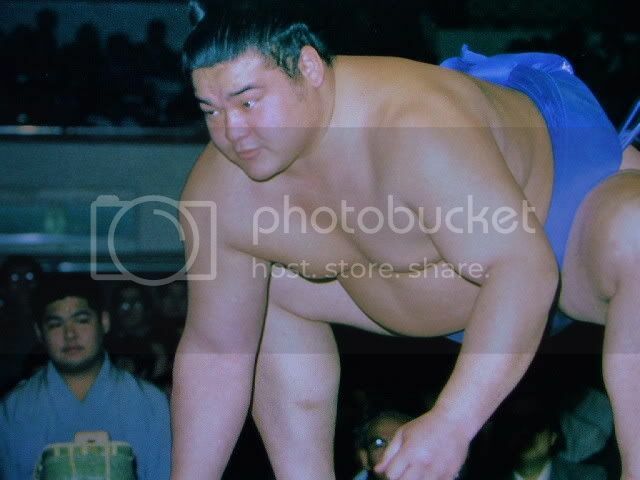 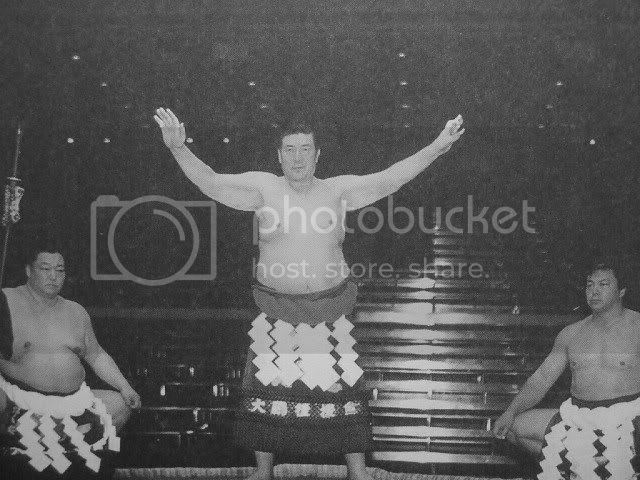 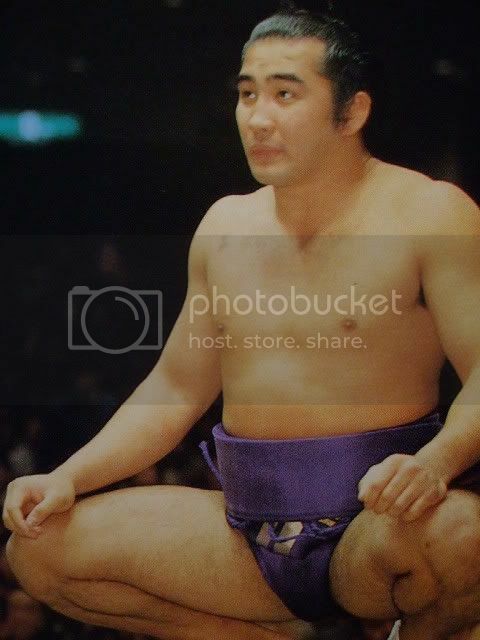 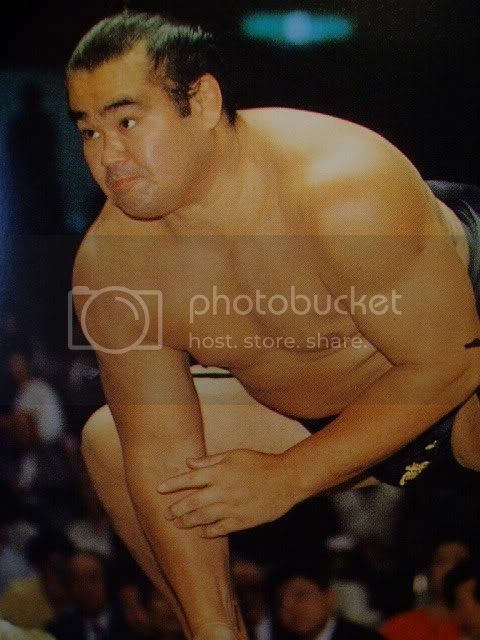 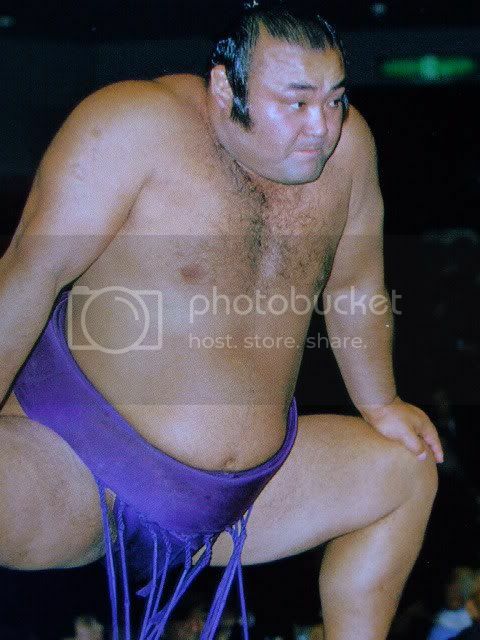 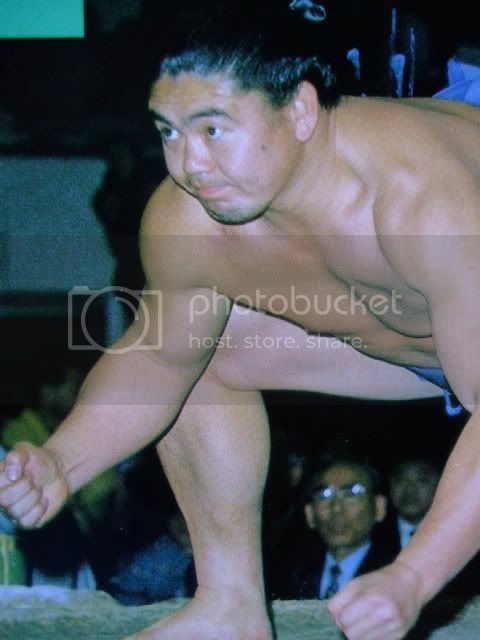 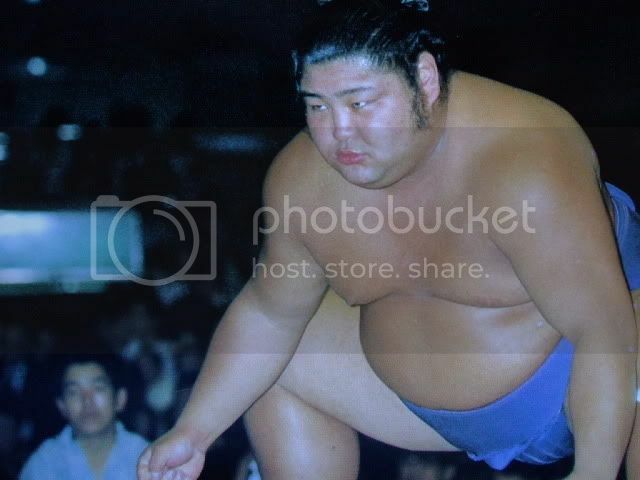 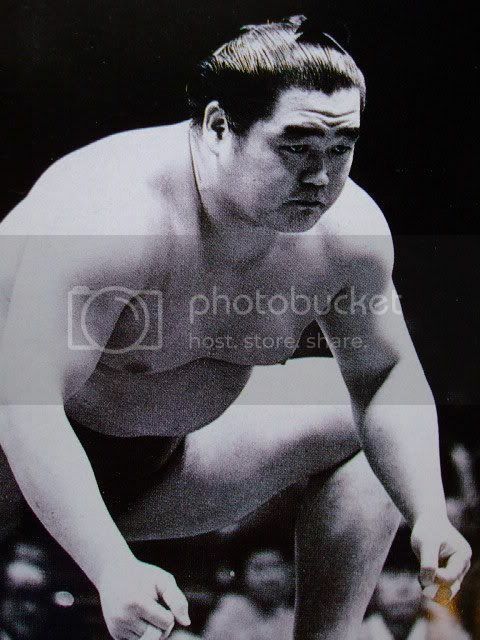 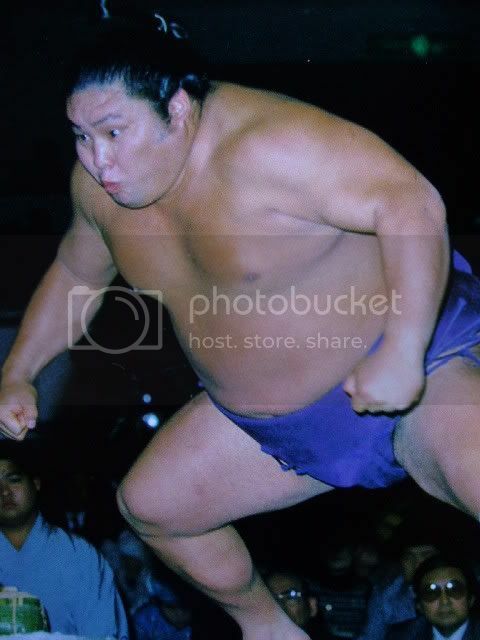 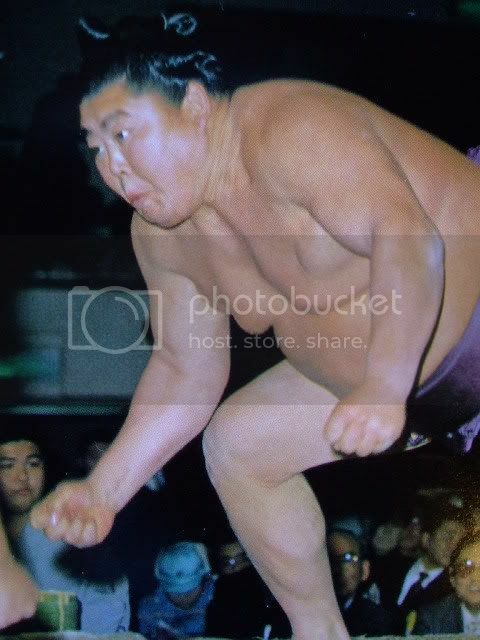 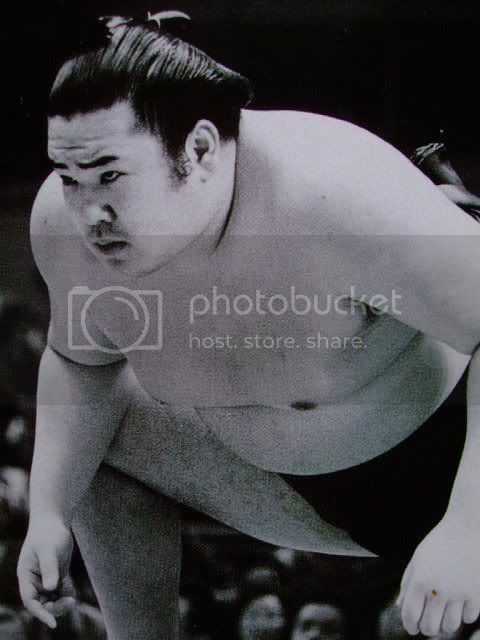 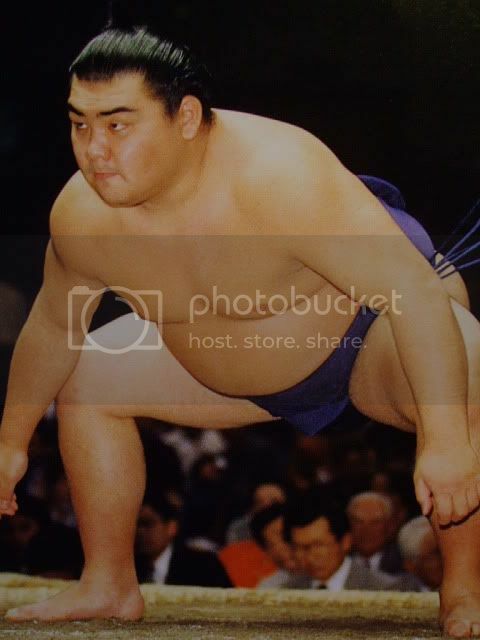 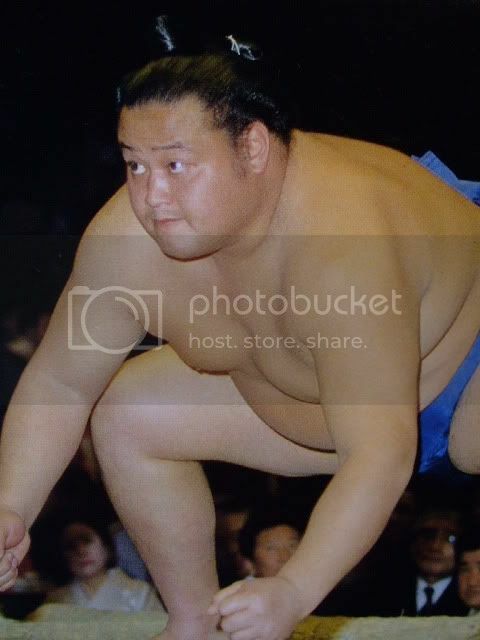 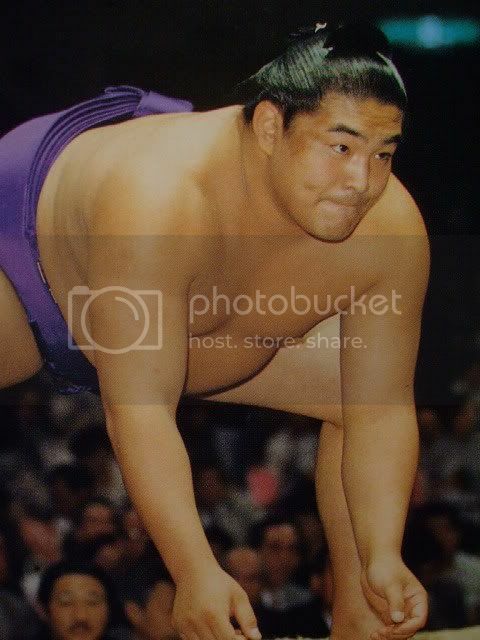 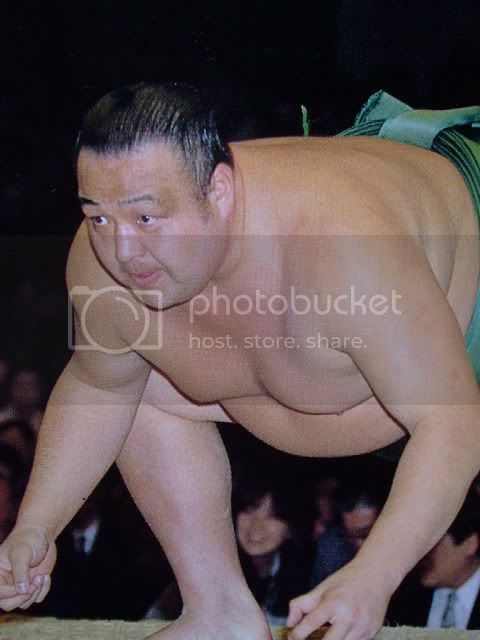 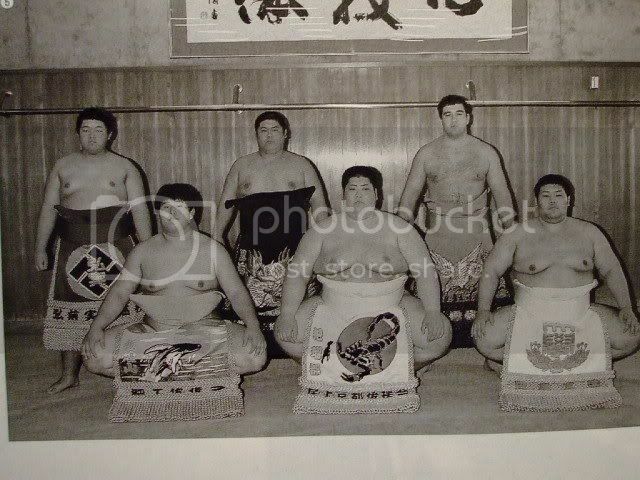 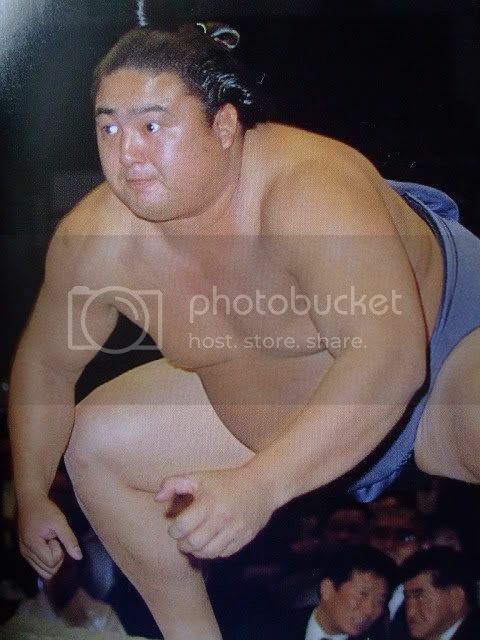 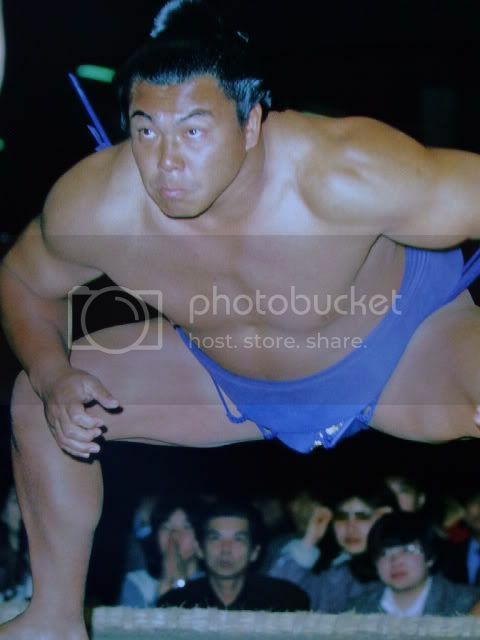 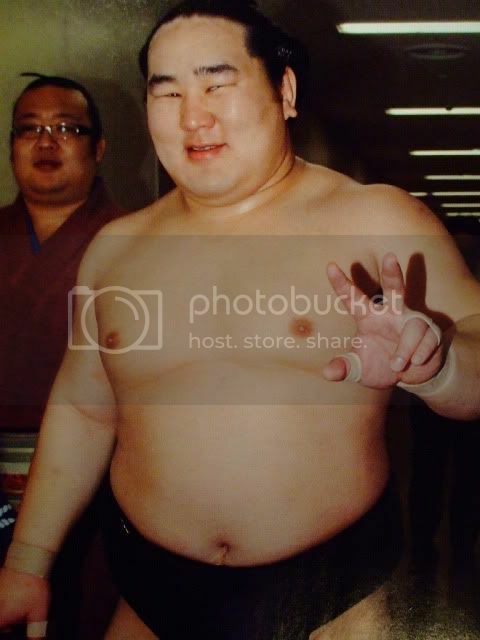 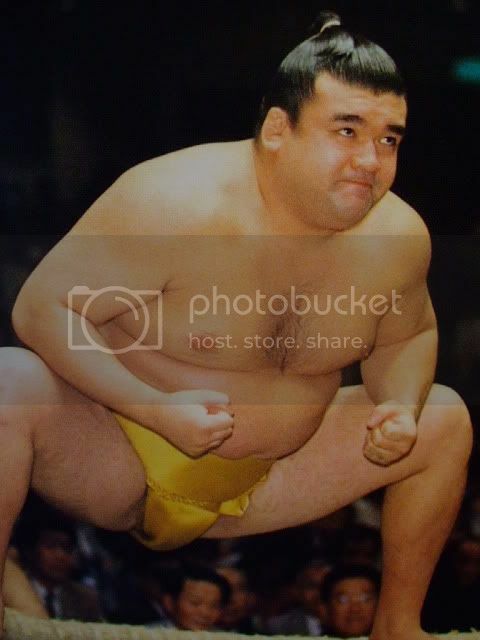 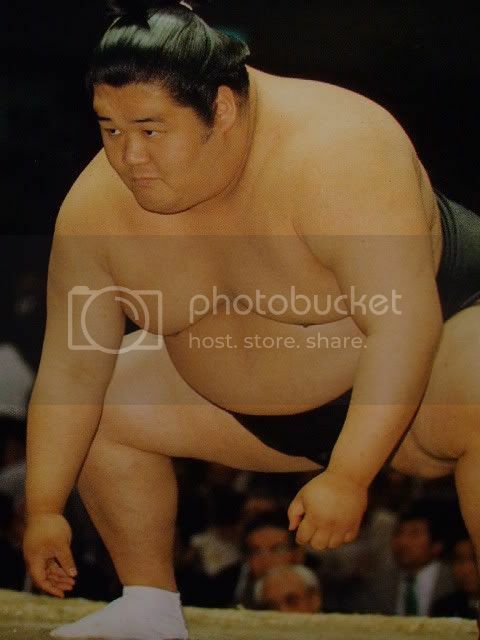 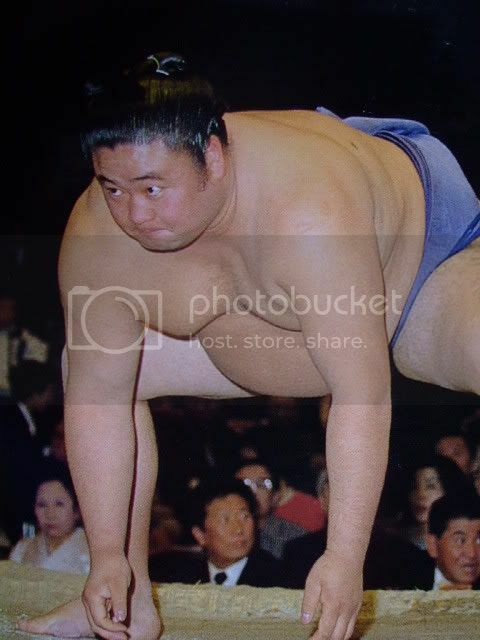 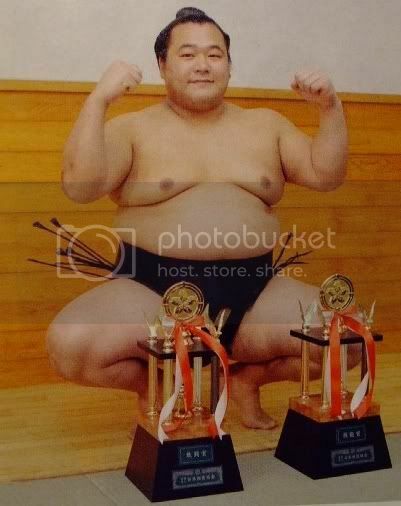 tomorrow some gyoji, and some rikishi with kesho mawashi. 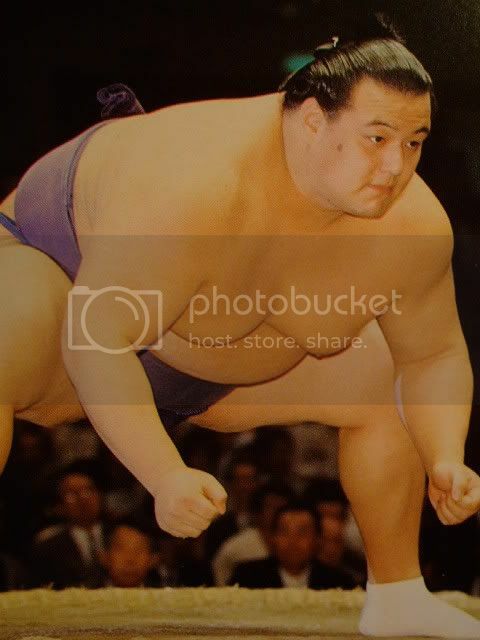 i am REALLY running out of images here. 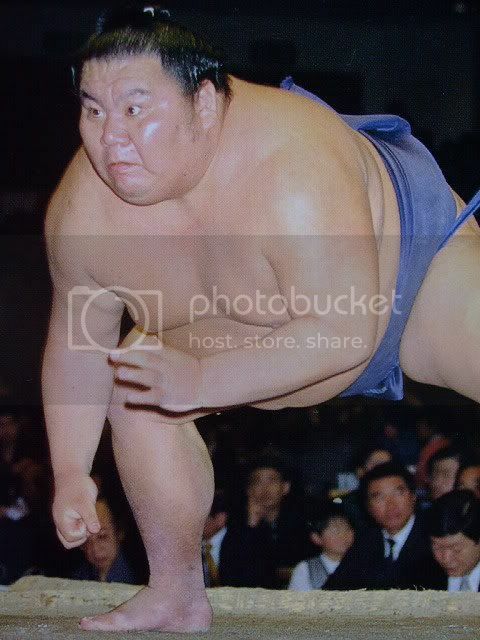 CHELSEA !!!! 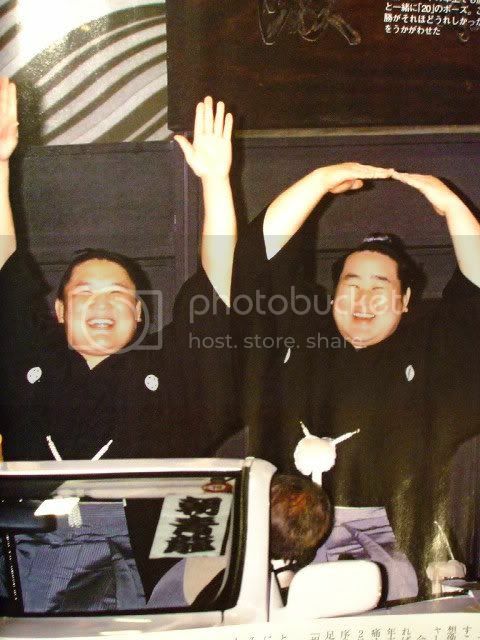 CHELSEA !!!! 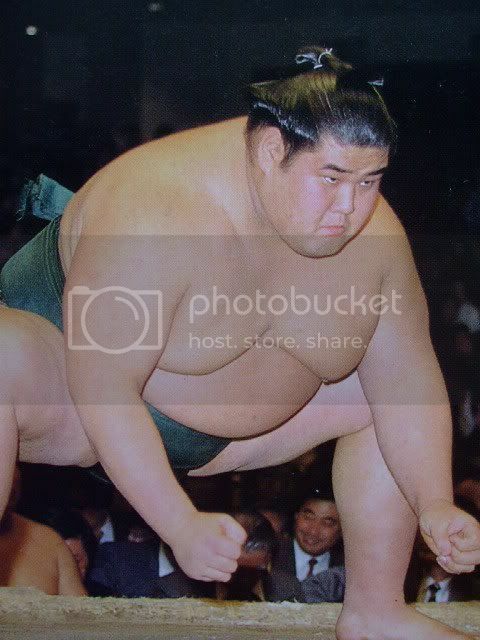 CHELSEA !!!!! 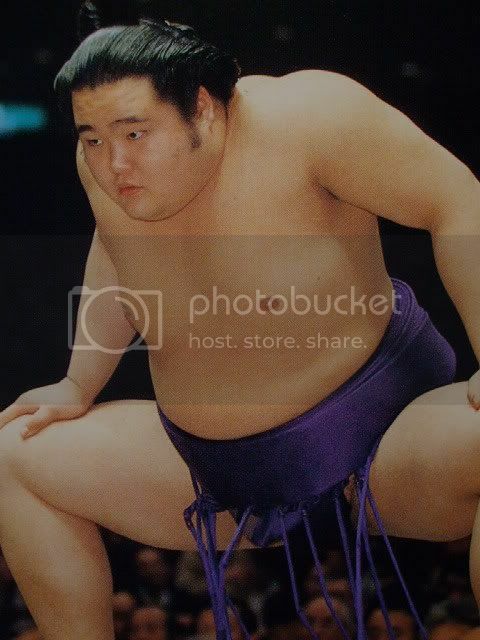 CHELSEA !!!!! 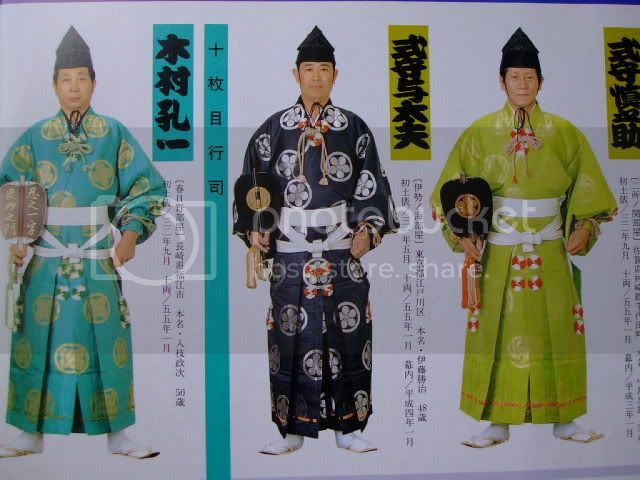 It's not Oshinriki but Ishinriki. 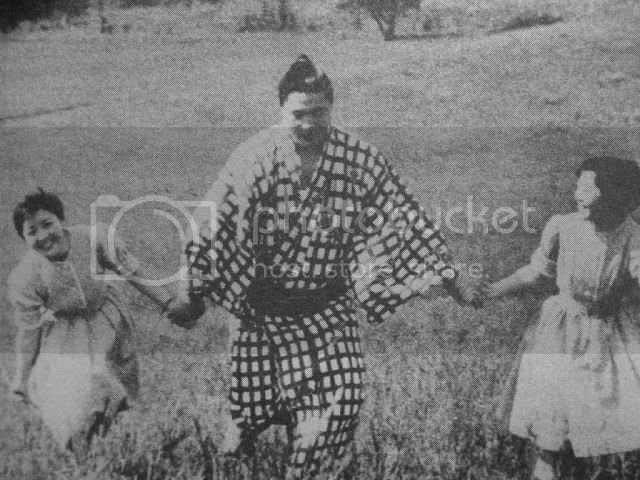 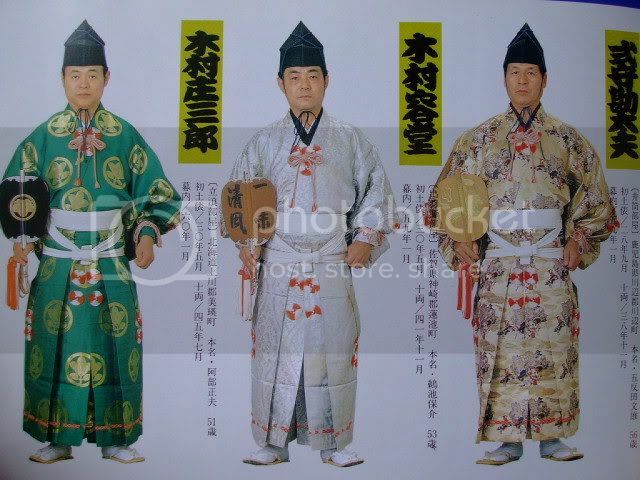 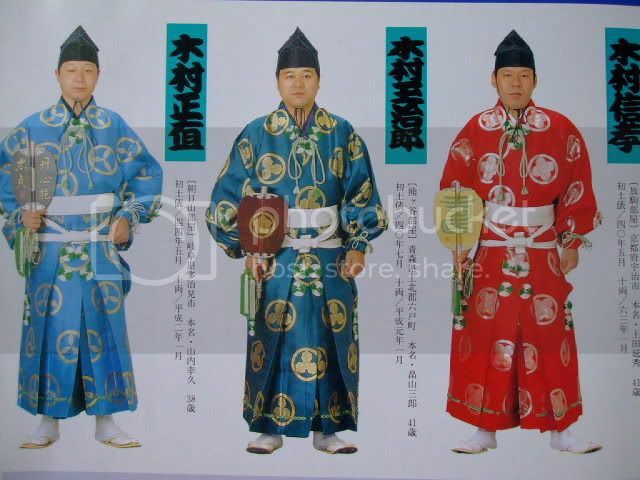 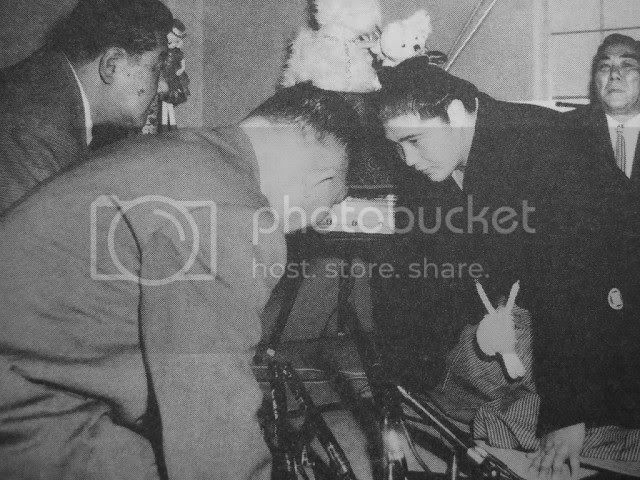 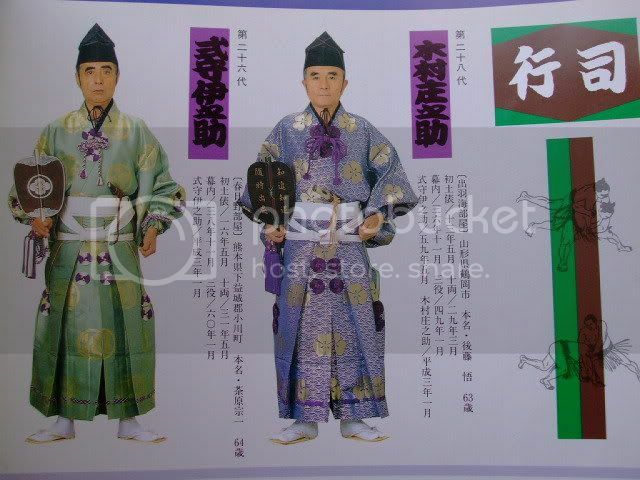 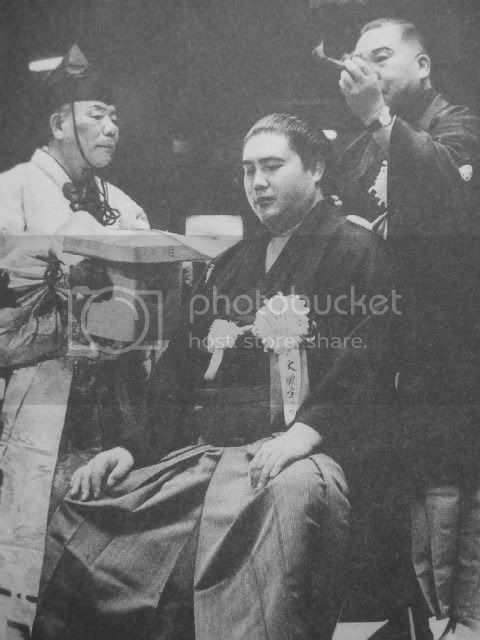 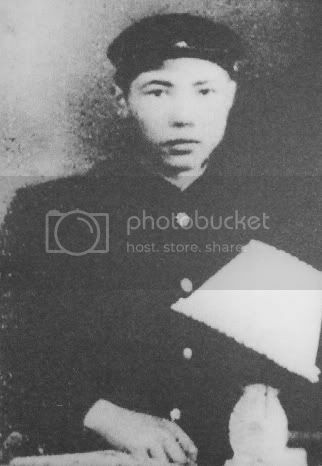 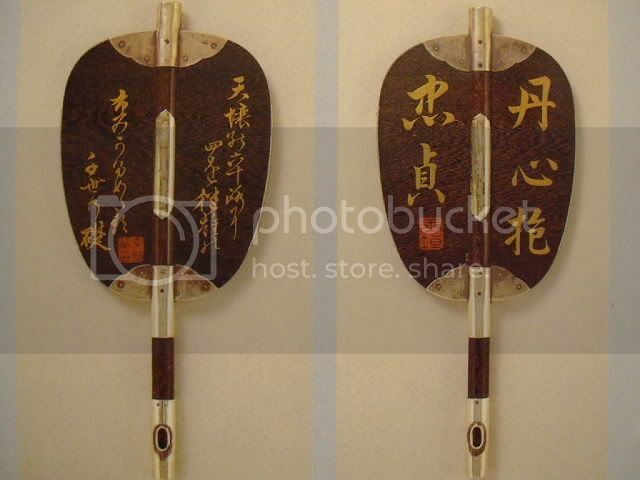 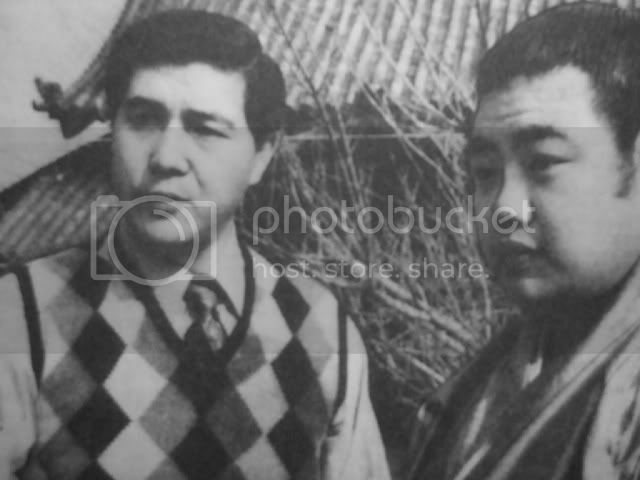 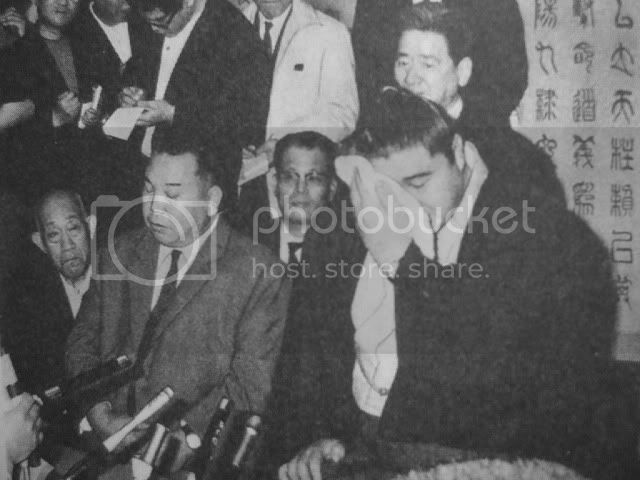 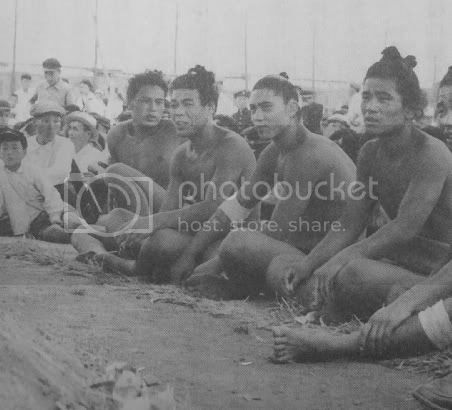 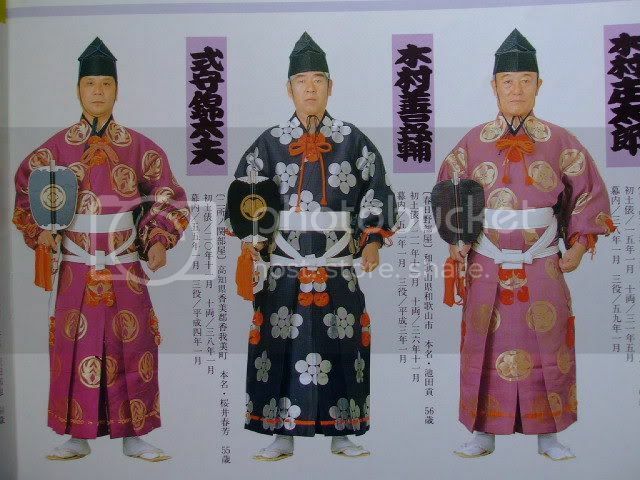 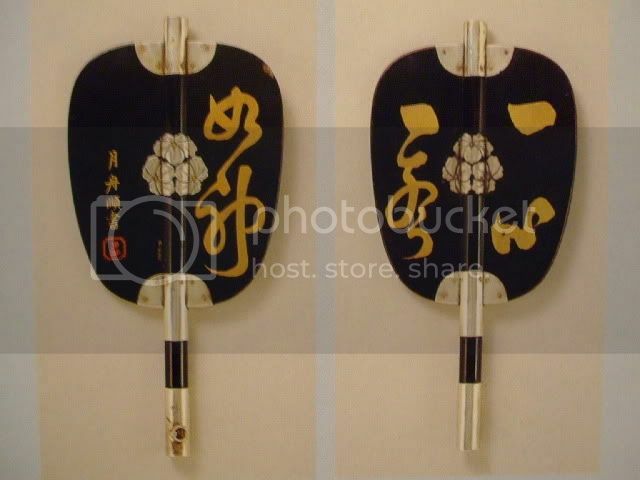 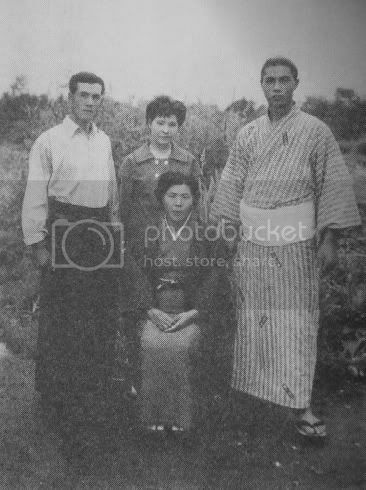 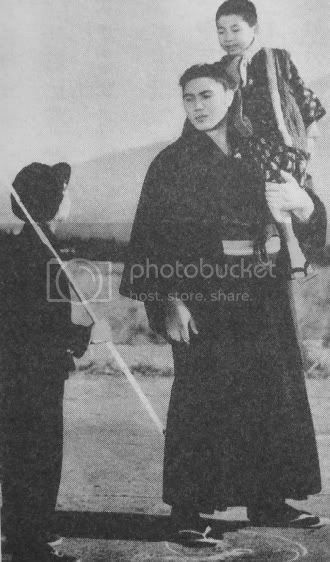 He was an Onaruto oyakata deshi. 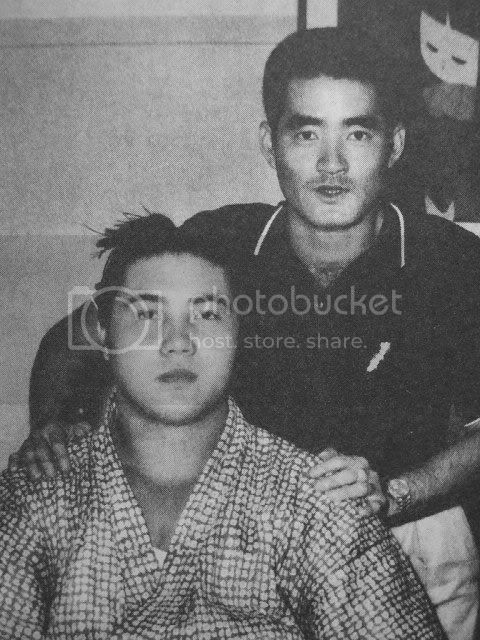 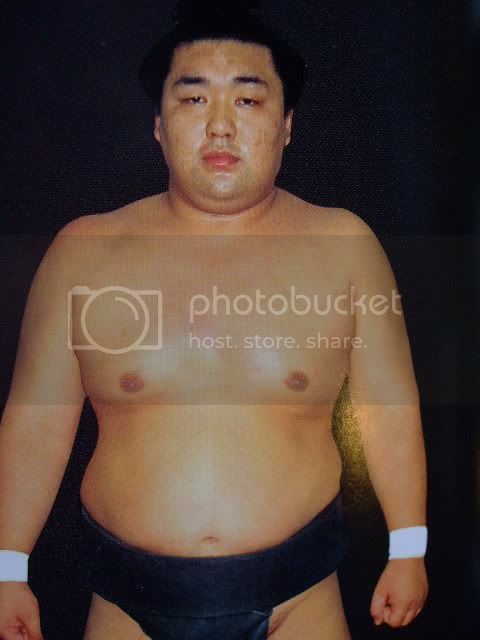 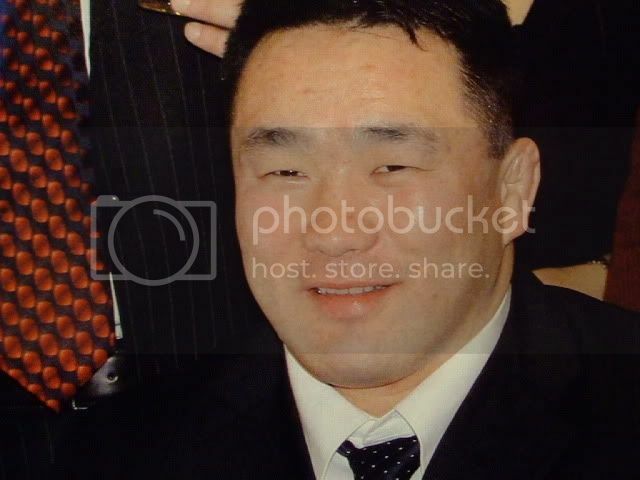 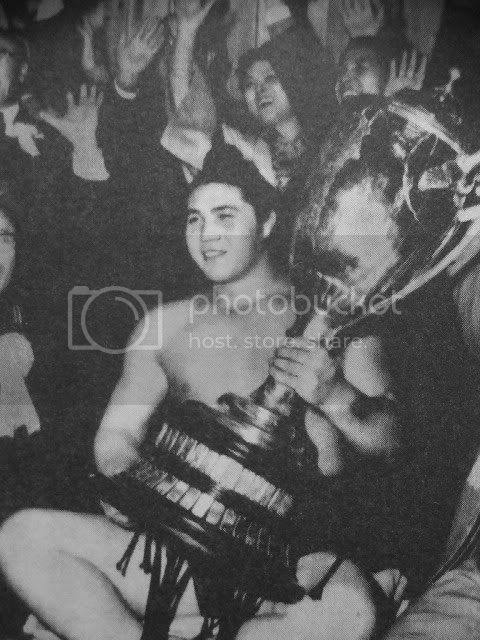 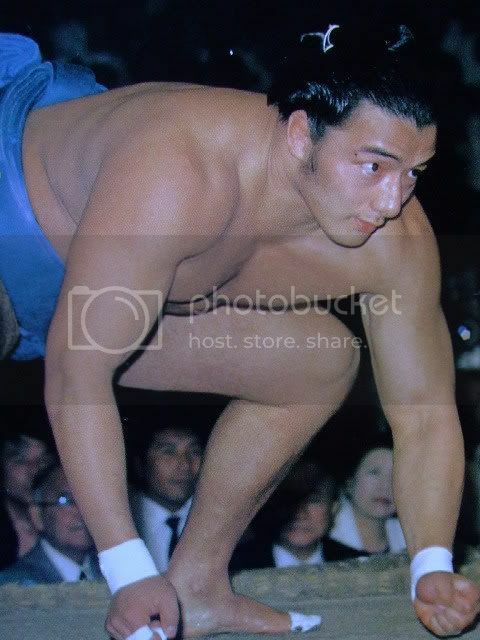 After his career, he became pro wrestler. 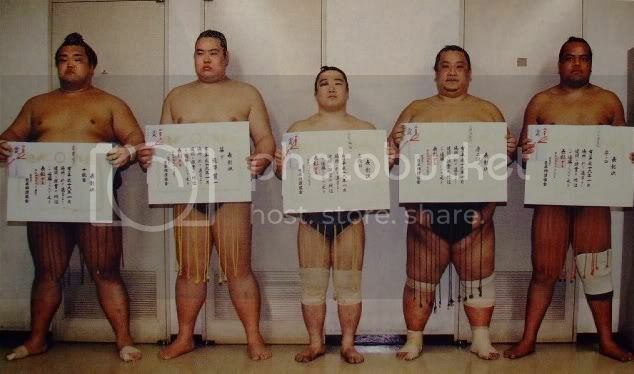 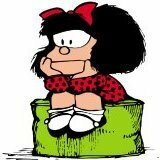 Incredible mensurations : 1.75 m for around 85kg. 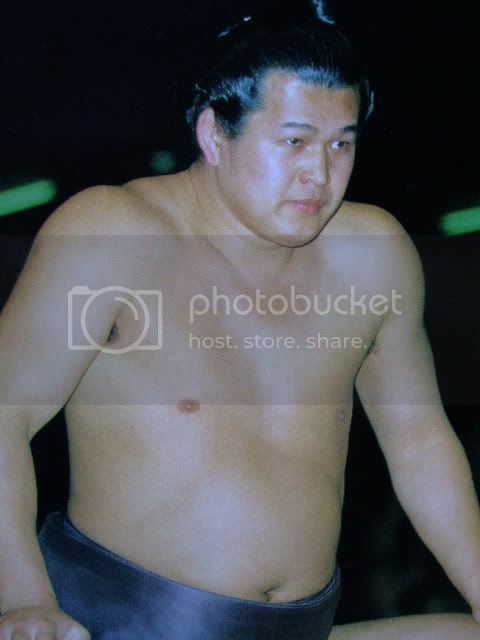 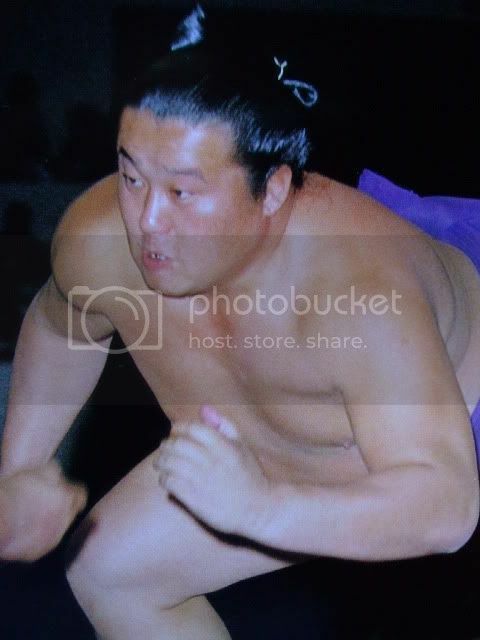 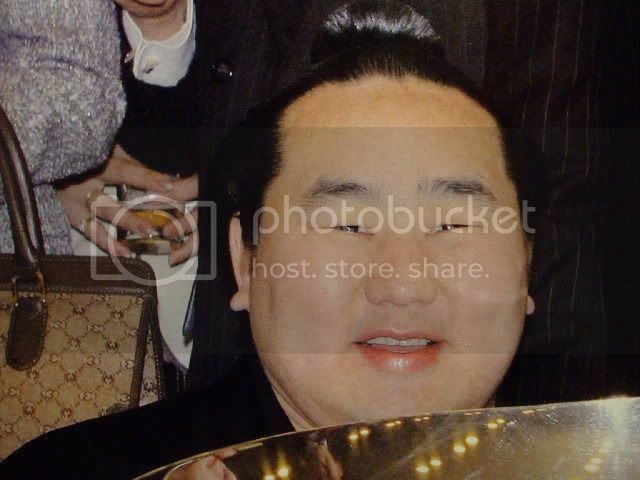 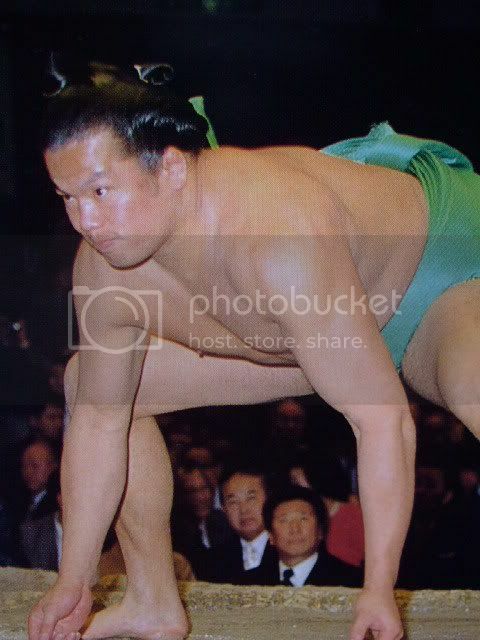 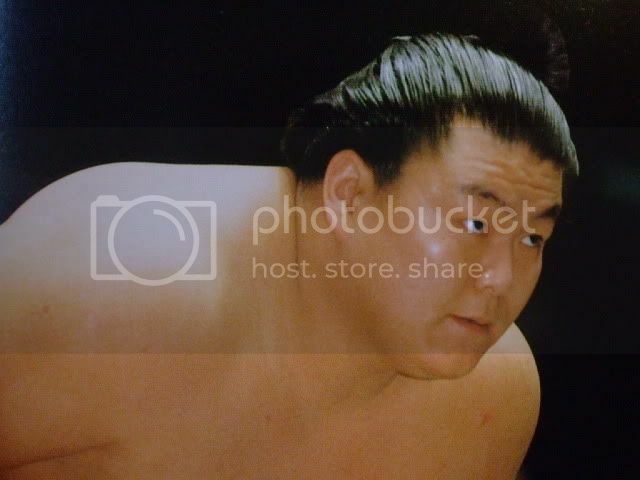 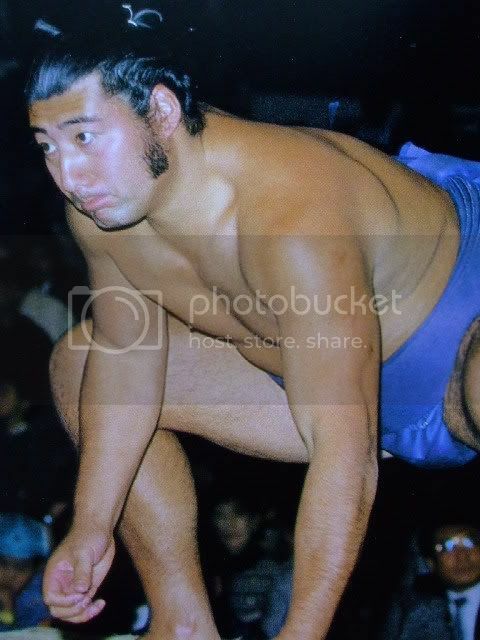 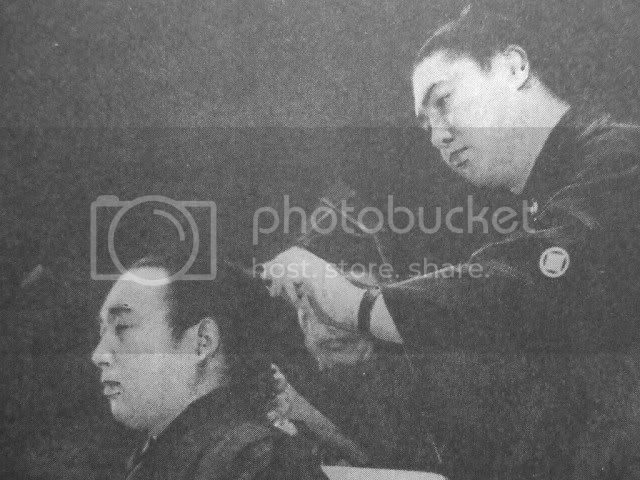 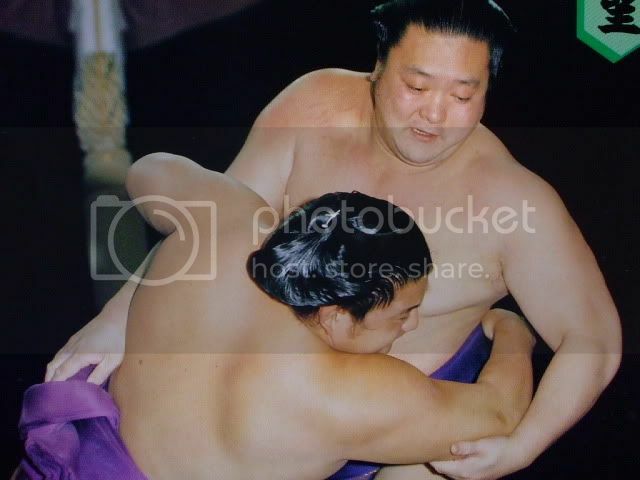 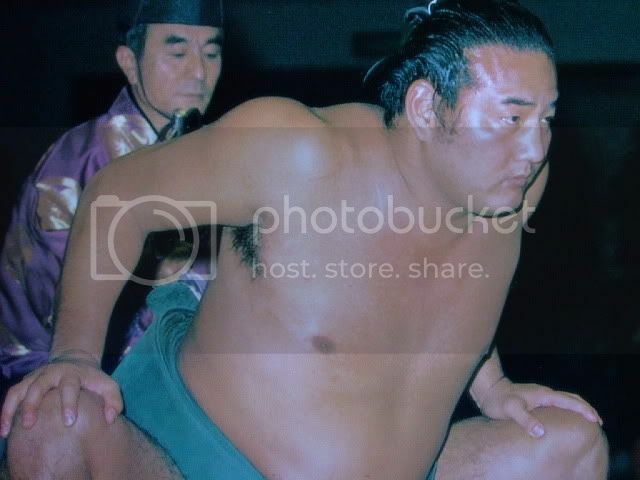 Have you got Chiyonofuji's back pics? 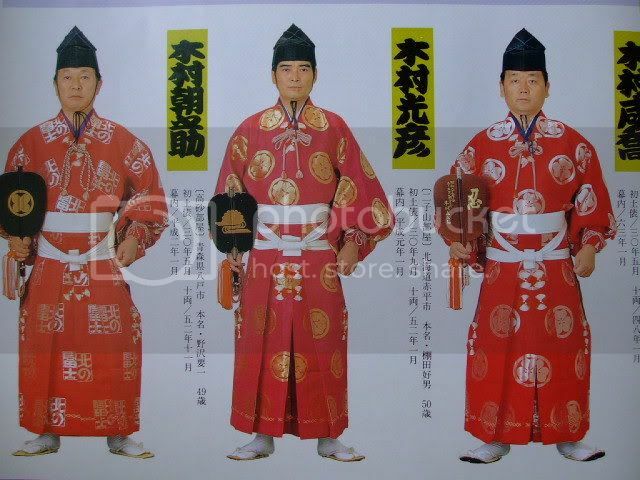 It's not Oshinriki but Ishinriki. 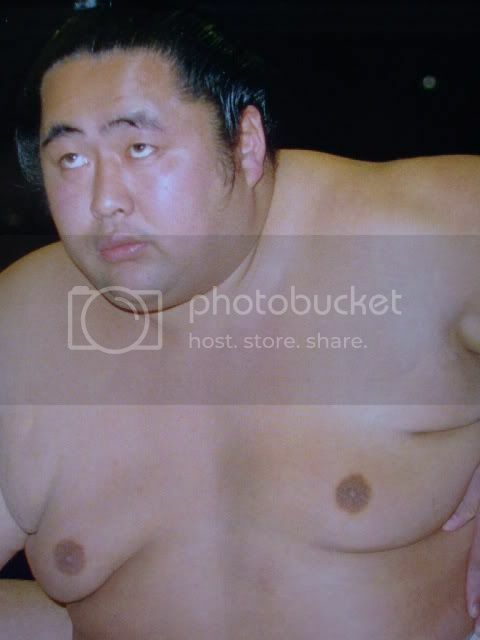 but seriously ... no i don't. 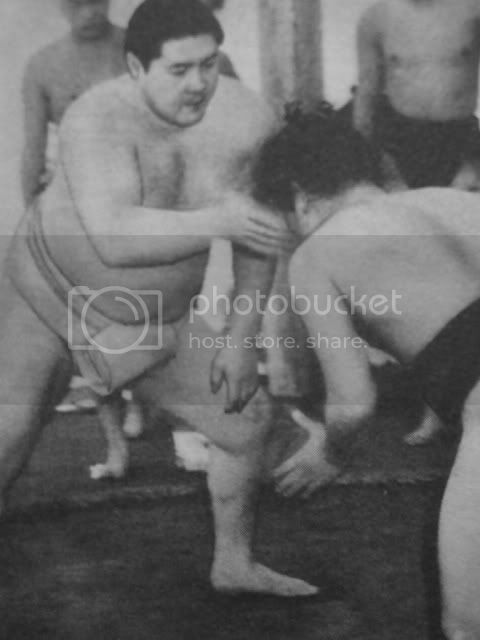 Takamisakari proves why he is called "the Clown"